“Paul and Silvanus and Timothy to the church of the Thessalonians in God our Father and the Lord Jesus Christ:  Grace to you and peace from God the Father and the Lord Jesus Christ. We ought always to give thanks to God for you, brethren, as is only fitting, because your faith is greatly enlarged, and the love of each one of you toward one another grows ever greater;  therefore, we ourselves speak proudly of you among the churches of God for your perseverance and faith in the midst of all your persecutions and afflictions which you endure” (NASB). This second letter Paul wrote to the Thessalonians was written a few months after the first letter around 50-51 A.D. This second letter Paul wrote to the Thessalonians opens much like First Thessalonians. Paul identified himself, along with Silas and Timothy as the writers. This was so because the three of them made up a team. Paul understood that he could do more with a team than he could by himself. In a team, each member of the team can bring something that others do not have. Since Thessalonica was a city made up of both Gentiles and Jews, that made the church there a mixture of people of personal and religious beliefs. There were Greeks, Romans, Jews, and women in the congregation. Some of them had been pagans and some had been in Judaism. As in First Thessalonians, Paul gave the earthly location of this church and the heavenly origin of it. It was the church of the Thessalonians. This was the earthly location of it. It was in God our Father and the Lord Jesus Christ. This is the heavenly origin of the church. Although Paul, Silas, and Timothy preached the gospel in Thessalonica, the church there was positioned in God our Father and the Lord Jesus Christ. It was also the possession of God our Father and the Lord Jesus Christ. You will notice that just as Paul’s wish for this church was not health and wealth in First Thessalonians, it was not his wish for them in Second Thessalonians. Paul’s wish for the Thessalonians was for grace and peace from God our Father and the Lord Jesus Christ. Grace and peace were two things this church could not exist without. Grace is necessary because it gives the church what she needs without any merits on the part of the church. Peace is necessary because it gives the church the calmness she needs to stand and withstand any circumstances she faces. Grace is God showing favor to sinful and lost humanity. It is God showing compassion on humanity. Peace is the result of God showing compassion for humanity. Because of the grace of God our Father and the Lord Jesus Christ, humanity can now experience peace with humanity, peace with God, and the God of peace in our lives. Grace says that we have the help we need for daily living. Peace says that we have the stability we need to handle the changing conditions we face in life. It is also worth noting that since Paul combined God our Father and the Lord Jesus Christ as the origin of the church and the source of grace and peace, this made God our Father and the Lord Jesus Christ equal. This is an assurance of the divinity of Jesus. Since humanity cannot redeem itself, Paul was assuring the Thessalonians that Jesus is the divine redeemer of humanity. Without him, humanity remains eternally lost. You will notice here in verse three that Paul opened with an obligation to express gratitude to God for the Thessalonians. There was something so significant taking place in the lives of the Thessalonians that he felt thanksgiving to be an obligation and not an option. The word “ought” (opheilo) speaks of a debt or something owed. It suggests being bound or obligated to perform a duty. Since the word “ought” is in the present tense, Paul was saying that he was under a continuous obligation. He could not and would not cease from feeling a sense of obligation. Paul felt a moral obligation to continuously express gratitude to God for the Thessalonians. The word “give thanks” (eucharisteo) is in the present tense just like the word “ought” is in the present tense. This meant that Paul continuously felt obligated to continuously express gratitude to God for the Thessalonians. These Thessalonians had been saved through the ministry of Paul, Silas, and Timothy and this ministry was grateful to God that God had used them in blessing the lives of the Thessalonians. Gratitude For Growth In Faith 3. Paul expressed gratitude to God for the Thessalonians because he saw the Thessalonians growing in their faith. The word “faith” (pistis) has reference to the convictions of the Thessalonians. The message preached by Paul, Silas, and Timothy had been believed and had taken root. It was now producing some fruit. Paul expressed gratitude to God for the fruit he saw growing in Thessalonica. There was a need for continuous thanksgiving for the enlargement of this faith. The word “enlarged” (huperauxano) is also in the present tense. This meant that the faith of the Thessalonians was continuously increasing above the ordinary. It was continuously growing exceedingly. It was continuously flourishing. They had not reached a point of stagnation. The Christians in Thessalonica were experiencing abundant growth in the faith of the Thessalonians. They were super-abounding in their faith in Jesus Christ. Gratitude For Growth In Love, 3. As Paul looked at the church in Thessalonica, he saw Christians who were growing in faith. He saw Christians who were progressing in their relationship with Jesus Christ. This was highly commendable. Paul also expressed gratitude for the love the Thessalonians were showing toward one another. The word “love” (agape) is the word used in reference to God’s love for humanity. This means the Thessalonians were loving one another with the same love with which God loves. These young Christians had taken all of the limits off their love. They were not loving one another because of anything. They were loving one another despite everything. These young Christians were loving one another unconditionally. They were loving one another despite their faults and failures. Paul looked at the Thessalonians as individuals who loved one another more and more each day. These young Christians had a commitment to one another and they lived out that commitment by being faithful to one another. Their love was growing even greater each day. Expressing Commendations For Service, 4. This church in Thessalonica was one that was being talked about throughout Macedonia in a positive way. 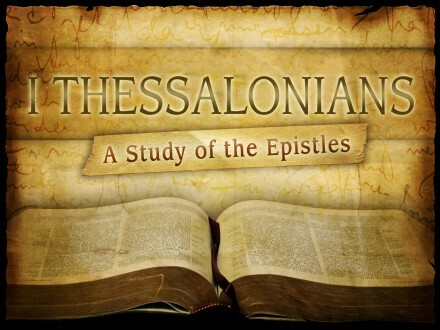 The word “therefore” (hoste) takes under consideration the fact that the Thessalonians were growing in faith and love. As a result of growing in faith and love, Paul boasted on them to other churches. Paul boasted on the Thessalonians because of their perseverance and faith while enduring persecutions and afflictions. Paul was not boasting on the Thessalonians just for the sake of boasting on them. He was boasting on the Thessalonians for the sake of other churches that they might be experiencing persecutions and afflictions. The word translated “speak proudly” (kauchomai) means to glory or to brag about. Paul had some commendable things to say to others about the Thessalonians. He rejoiced for the Thessalonians in the presence of other churches. It was not a problem for Paul to commend the Thessalonians in the presence of others and it was apparently not a problem for other churches to hear it. Paul bragged on the church in Thessalonica because of her perseverance and faith. The word “perseverance” (hupomone) speaks of more than survival or passive endurance. This word speaks of endurance, but also using the situation in positive and creative way. This word speaks of staying with the load. It is taking a situation and transforming it into an occasion for joy. The Thessalonians were making an impact on the world by the way they were handling their persecutions and afflictions. Despite their persecutions and afflictions, they remained faithful (pistis). They did not give in or give out because of what life was throwing at them. Still, more closely to Him cling! Your enraptured soul will view! “This is a plain indication of God’s righteous judgment so that you will be considered worthy of the kingdom of God, for which indeed you are suffering. For after all it is only just for God to repay with affliction those who afflict you,  and to give relief to you who are afflicted and to us as well when the Lord Jesus will be revealed from heaven with His mighty angels in flaming fire,  dealing out retribution to those who do not know God and to those who do not obey the gospel of our Lord Jesus” (2 Thessalonians 1:5-8, NASB). In the fourth verse of this first chapter of Second Thessalonians, Paul was highly complimentary of the way the Thessalonians were enduring persecutions and afflictions. Paul was going about Macedonia bragging on the Thessalonians for their perseverance and faith. These young Christians were being pressured by their enemies. They were being harassed and oppressed by people who did not adhere to the principles of the gospel. These Thessalonians were still serving God despite the afflictions and pressure placed on them by their enemies. They held up against all the challenges that were thrown in their path. They remained right in heart despite their personal challenges. They always put God’s work above their own problems. These Thessalonians would not allow anything nor anybody to turn them away from Jesus. Despite the sufferings of the Thessalonians, they could be sure of a bright future. They could be sure that God always does what is right. God always works out his plan for his children. These Thessalonians could be sure of the love of God for them despite the persecution and afflictions they were experiencing. The attitude and the actions of the Thessalonians in the midst of persecutions and afflictions would prove to others that God was at work in their lives. Proved Worthy Of The Kingdom, 5. The fact that the Thessalonians were saved is proof that they had experienced the grace of God. The fact that they were suffering persecutions and afflictions for the sake of the kingdom of God is proof that God make right decisions concerning his people. The word “judgment” (krisis) speaks of a legal decision rendered by a judge. God made a decision that the Thessalonians would suffer persecutions and afflictions for his kingdom, and grow in faith, love, and perseverance in the process. Their faith was enlarged and their love for one another was greater than ever (3). These young Christians did not grow bitter while suffering. They grew better. As you look at verse five, you will see that God counted the Thessalonians worthy of his kingdom because of their persecutions and afflictions, and the way they were enduring it. Paul was assuring the Thessalonians that God sees all that his servants experience. It is all written in his book. God places a value on all that we experience for the sake of his kingdom. These Thessalonians lived and served as they did because God had something in store for them that was better than their suffering. Paul said to the Romans, “For I consider that the sufferings of this present time are not worthy to be compared with the glory that is to be revealed to us” (Romans 8:18, NASB). The word “plain indication” (endeigna) is a proof or evidence. It is a sign or token. The endurance of the persecutions and afflictions of the Thessalonians proved that they were righteous. Their endurance proved that they had a right relationship with God. Their endurance proved that they were children of God. Paul was letting these young Christians know that what they were experiencing was a part of the permissive will of God, and God was using their experiences to prove their relationship with him. The endurance of the persecutions and afflictions of the Thessalonians was the evidence of their salvation. Their endurance proved what they were made of. It proved that they were worthy of the kingdom of God. The word “considered worthy” (kataxioo) speaks of deeming completely deserving or fit. It has reference to being counted worthy. As God looked at the church in Thessalonica, he did not place a value on them because of what he saw externally. He was not impressed with them because of the liveliness of their worship services. God counted them worthy because of their endurance of persecutions and afflictions. He counted them worthy because of what was within them. These Christians remained focused on the kingdom of God despite suffering while serving. They allowed God to work on them and in them, even in times of persecutions and afflictions. They were not fair weather Christians and servants. They were available to God anytime, despite the weather. God always rewards his children for their service to him. As you look at verse five, you can see that the reward for the Thessalonians was that they were counted worthy of the kingdom of God. God allowed these Christians to suffer so that he could prepare them for his kingdom. Promised Participation From God, 6. Here Paul was assuring the Thessalonians that God was participating in the circumstances of their lives. God is seen here as the paymaster. The word “repay” (antapodidomi) means to give back in return for something that has been received. It is just retribution. It suggests giving back the equivalent of what was received. God promised the Thessalonians that he would give their enemies back affliction in the same measure they gave it out. The Thessalonians would not have to fight their enemies back. God would do that for them. The word “affliction” (thlipsis) is the same word in verse four. This word speaks of pressure, being crushed, or squeezed. This word has reference to being in a state of unfavorable conditions. Those who place Christians in unfavorable conditions will be placed in unfavorable conditions themselves. The permissive will of God that allows Christians to suffer also allows those who cause Christians to suffer to suffer at the same level. Verse six was a word of comfort to suffering saints. The suffering saints could trust God to be at work on their behalf. They could trust God to reverse their situation and the situation of their enemies. These young Christians in Thessalonica needed to know that their enemies could not do an effective job of afflicting them while being afflicted themselves. The afflicting of those who afflicted the Thessalonians was promised by God. In verse seven, Paul is seen comforting the Thessalonians by letting them know that their suffering is temporary. God will give them relief. The word “relief” (anesis) means relaxation, ease, or freedom. This word speaks of rest or relief that comes from a source other than self. Here Paul was speaking of the time of the return of Christ. When Christ returns, he shall relax us from the suffering of this world. We shall be given rest from all the struggles we now experience. God will give his children rest from their afflictions. John picked up on this idea of rest in the book of Revelation. John wrote, “And I heard a voice from heaven, saying, “Write, ‘Blessed are the dead who die in the Lord from now on!’” “Yes,” says the Spirit, “so that they may rest from their labors, for their deeds follow with them” (Revelation 14:13, NASB). This is a challenge for us to live in the presence of Jesus and not just look for his return. This requires us to let our lights shine despite the storms. Jesus wants us to keep serving despite the challenges we face. The story is told of a preacher who often visited an area where there were surface wells that you would have to be pumped and then the water would start coming. As long as you pumped, water would come. When you stopped pumping, the water would stop coming. You also had to leave a little water in a mason jar to prime the pump to get it going the next time. It was just a surface well. There are people like that, Christians who need to be primed, pumped, pleaded, and begged to do anything. There is another kind of well called an artesian well. When you want to get water out of that kind of well you just connect up to it and then it flows and flows when you turn on the spigot. People can be like that. Filled with the Holy Spirit, they are looking for places to minister and share. They are ready and waiting to reach out. The difference is that some want to serve, others want to be served. Some are shallow, some are deep. We need to decide what kind of servant we are. “For after all it is only just for God to repay with affliction those who afflict you,  and to give relief to you who are afflicted and to us as well when the Lord Jesus shall be revealed from heaven with His mighty angels in flaming fire,  dealing out retribution to those who do not know God and to those who do not obey the gospel of our Lord Jesus. And these will pay the penalty of eternal destruction, away from the presence of the Lord and from the glory of His power,  when He comes to be glorified in His saints on that day, and to be marveled at among all who have believed– for our testimony to you was believed” (2 Thessalonians 1:6-10, NASB). In the sixth verse of this first chapter of Second Thessalonians, Paul began a discussion on God’s involvement in the life of the Thessalonians. Paul assured his readers that whatever suffering and persecution they were experiencing, those who caused them to suffer would suffer also. God would pay those back who caused the Thessalonians to suffer. This is a picture of the fact that God is a God of justice, just like he is a God of grace and mercy. The word “just” (dikaios) in verse six means that God is righteous or right. He acts according to the rules he set in place. This would say to us that we reap fruit according to the seed we plant. God so designed his rules that evil seed will produce evil fruit. So those who planted persecutions and afflictions in the life of the Thessalonians reaped the fruit of persecutions and afflictions in their own lives. The greatest difference between the persecutions and afflictions of the Thessalonians and those who persecuted and afflicted them was that the suffering of the Thessalonians was temporary and the suffering of those who persecuted and afflicted them is eternal. In verse seven, Paul said that God would give the Thessalonians relief. God would give them rest from their afflictions when the Lord Jesus is revealed from heaven. The word “revealed” (apokalupsis) speaks of Jesus coming in his glory. It suggests that the Lord Jesus will be unveiled or uncovered. We will know him for whom he is. He will be fully known. When Jesus came into the world the first time, he came to give all people grace and mercy. When he comes the second time, he will come in justice. He will execute judgment on those who do not know God and those who do not obey the gospel (8). The word “know” (eido) speaks of experiencing. So God will exercise judgment on those who do not have a relationship with him. These are people who are ignorant of God by choice. The word “obey” (hupakouo) suggests conforming to a command or authority. Those who never experienced God and never conformed to the gospel are the ones on whom God will deal out punishment. God will execute justice when the Lord Jesus returns. The actions of the Lord Jesus when he returns should give servants of God some degree of comfort and encouragement in times of persecutions and afflictions. Those who do not obey the gospel are people who hear the gospel but refuse to believe it and accept it. They anger God because they willfully reject the gospel. Rejection of the gospel is rejection of Jesus, the Son of God. A Sad Time For The Unsaved, 9. As you look at verse nine, you will see that the second coming of the Lord Jesus will not be a pleasant time for the unsaved. When the Lord Jesus returns, those who do not know God and did not obey the gospel will pay the penalty of eternal destruction. The word “pay” (tino) means to pay a price as a penalty. It speaks of being punished. The price that could have been paid by Jesus will be paid by those who do not know God nor obey the gospel. They will experience God’s justice because they did not accept God’s grace. God’s grace is the only way to escape God’s justice. Paul was assuring the Thessalonians that the saved and the unsaved do not share the same destiny. The unsaved will experience eternal destruction. The word “eternal” (aionios) here means perpetual, forever, or everlasting. This word speaks of the duration of time. This word is time that has all limitations removed from it. Paul was speaking of time in the sense of time as God’s life. Just as God’s life never ends, time never ends when it is spoken of as eternal. It is not transitory. It does not pass away. This is a picture of the destruction experienced by those who do not know God, those who do not obey the gospel. Their destruction is permanent. It would probably help the unsaved if the destruction would wipe them out completely. There would be some degree of relief for the unsaved if they would cease to exist. But when the Lord returns, the unsaved will continue to exist in a state of destruction forever. The word “destruction” (olethros) has its origin in a word (ollumi) that means to destroy. The idea of destruction speaks of being ruined. It is death or punishment. It is the corruption of the soul. When the Lord Jesus returns, those who reject the gospel will experience eternal destruction. They will experience eternal corruption of the soul. They will experience eternal death. A Secluded Time For The Unsaved, 9b. The return of the Lord Jesus is a secluded time for the unsaved because the unsaved will be away from the presence of the Lord. The word “away” (apo) is a preposition that means separation. It suggests separation from a person or place. It speaks of distance from a person or place where there was once unity. In creation, there was once unity between God and humanity. Sin separated man from God. Without the new creation, the separation between God and humanity remains throughout eternity. This will result in eternal death for the unsaved. The unsaved being away from the presence of the Lord means that they will be away from heaven. Rejection of the gospel causes humanity to be secluded from the presence of the Lord. The word “presence” (prosopon) speaks of the face or the visible appearance. The unsaved will have no contact with the Lord throughout eternity. There will be no opportunity for the unsaved to experience the Lord face to face. This is a picture of eternal death. Eternal death is eternal seclusion from God and the Lord Jesus. Another thing Paul said the unsaved will experience is seclusion from the glory of the power of the Lord. The word “glory” (doxa) means excellence or magnificence. The unsaved are eternally secluded from the manifestation of the brightness of the majesty of the Lord. The presence and power of the Lord will not be available to the unsaved to relieve them of their suffering. The penalty for the unsaved not knowing God and rejecting the gospel is that they will experience eternal destruction and eternal seclusion from the presence of the Lord and from the glory of his power. The word “power” (ischus) speaks of the ability, might, or strength of Jesus. It speaks of the physical, mental, or moral strength of Jesus. This word is a synonym for the word power (dumanis) in relationship to the Holy Spirit. The unsaved will exist eternally without the presence and power of God the Father, God the Son, and God the Holy Spirit. Again, this is a picture of eternal death. This is a death that does not have resurrection connected to it. The resurrection is the glory of the power of Jesus. III. The Bright Future Of The Saved, 10. Here we see a shift from the doom of the unsaved to the destiny of the saved. Here Paul was assuring the Thessalonians that their destiny would be different from that of the unsaved. The word “when” (hotan) suggests a point in time that is uncertain. It is certain that Jesus is coming back. However, the day, the date, and the time are uncertain. Jesus is coming back to be glorified in his saints. The word “glorified” (erchomai) means to be held in honor. When Jesus comes back, he will demonstrate his magnificence in those of us who are saved. We are saints because we are saved. We are not saved because we are saints. The Lord Jesus saved us while we were sinners and he made us saints. So he will show his supreme excellence in us as saints when he returns. This is in contrast to the destiny and doom of the unsaved. God will honor himself in his saints. Paul said that saints will be the place where the Lord will be glorified and we will also marvel at him when he returns. The word “marveled” (thaumazo) means to admire or to be astonished. It means to be amazed. We who are saints will be amazed ourselves at the return of Christ. We will be astonished at what he does in us as he glorifies himself in us. We shall be like him because we shall see Jesus as he is. This glorification awaits all those who have believed the gospel. There was once a man who felt sorry for himself because he boarded an airplane for a flight and was assigned a middle seat. The man hated sitting in the middle seat. As others were coming down the aisle, he greeted an old friend who dropped down in the still-empty aisle seat for a chat. A few moments later a voice over the intercom asked for the man in the isle seat to please identify himself. The friend of the man in the middle seat was being called to a seat in first-class. However, he stayed with his friend in the middle seat because he called his friend first-class. It was not long before the flight attendant let the man in the isle seat know that the main cabin was full, but there was plenty of room in first class. The attendant asked the man to come and take his seat in first class, and bring his first-class friend with him. So, the man in the middle seat in the main cabin got a blessing that day by being moved from his middle seat in coach so that he could ride in first-class comfort with his friend. He started to think about what happened and came to the conclusion that Jesus had left first-class and came to where he was sitting in his unpleasant place and took him with him to the best accommodations up front. It was a place especially prepared for him which he had not even known about. This is what Jesus did for all of us. He left first-class accommodations in heaven and came where we are in order to take us to the Father in heaven. “To this end also we pray for you always, that our God will count you worthy of your calling, and fulfill every desire for goodness and the work of faith with power,  so that the name of our Lord Jesus will be glorified in you, and you in Him, according to the grace of our God and the Lord Jesus Christ” (2 Thessalonians 1:11-12, NASB). In the verses of this text, Paul is seen in prayer for these young Christians in Thessalonica. This prayer is for things concerning their salvation and their service. Paul involved himself in the lives of these Thessalonians in the most positive way he could. The word “pray” (proseuchomai) here in verse eleven is the most common word in the New Testament for praying. This word speaks of prayer in general and includes supplication, asking, petition, and invocation. It suggests that there is a wish someone has, whether it is to have something for self or someone else. It also includes praise and thanks to God for whom he is or what he has done. Prayer suggests confidence and trust in the one to whom prayer is offered. We pray to God because of our trust and confidence in him that he can and will do what we pray to him about. As you watch Paul in prayer for the Thessalonians, you will see that he and his companions prayed collectively for the Thessalonians out of a sense of community. He and his companions felt themselves to be a part of the Thessalonians and the Thessalonians to be a part of them. Prayer is important because in prayer we draw on the power of God. We add the power of God to the weakness of man in prayer. God has a tendency to give us more in the answer to our prayers than what we really needed. This is so because God answers prayer out of his grace and mercy, and not just our needs. The fact that the word “pray” is in the present tense means that Paul constantly prayed for the Thessalonians. He prayed for them without ceasing. Paul kept them before the throne of grace. It was a habit for Paul to pray for the Thessalonians because of his love for them and his concern for their spiritual needs. This church in Thessalonica would only be effective in her service if they would grow constantly in their faith, their love for one another, and their perseverance. So Paul made prayer for the Thessalonians a normal part of his life. Paul’s prayer life is an evidence of the fact that he believed in prayer. Paul’s constant prayer for the Thessalonians meant that their wills would be brought in line with the will of God. God would fulfill his plan for the Thessalonians. Paul prayed for the Thessalonians because he knew that God hears and answers prayer. Paul also prayed for the Thessalonians because he knew that his prayers would make a difference in their lives. There are some situations where praying is the only solution. Counted Worthy Of Salvation, 11. The word “to this end” (eis) is the same as the words therefore or wherefore. This is a preposition that speaks of a point reached. It reaches back into something that has been said and connects it to something that is about to be said. In the previous section of chapter one, Paul looked at the doom of the unsaved and the destiny of the saved. Paul saw that the unsaved were doomed to eternal destruction. They will exist in eternal separation from God and the glory of the power of God. However, the Lord will show his supreme excellence and magnificence in the saved when he returns. So Paul prayed in verse eleven that the Thessalonians would be counted worthy of their calling. The word “count worthy” (axioo) means to consider fit or given the right to do or have something. It suggests having a claim to something. Paul’s prayer was that the Thessalonians would have worthiness placed by God on their spiritual accounts. This was actually an appeal to God from Paul to extend grace to the Thessalonians. Paul understood that humanity is never worthy of the blessings of God apart from grace and mercy. Grace is God giving us what we do not deserve and mercy is God holding back from us what we do deserve. So Paul was not praying that the Thessalonians would earn God’s approval through their words or their works. His prayer was that God would place worthiness of their calling on their spiritual account. It was Paul’s prayer that the character and conduct demonstrated by the Thessalonians would be a clear validation of their being saints and servants of the kingdom of God. This was a prayer request that the Thessalonians would be enabled to demonstrate dedication and devotion to God. The idea behind the word “calling” (klesis) speaks of an invitation. Here it speaks of the invitation of God’s kingdom and all of the privileges and responsibilities that go along with it. This word speaks of man’s acceptance of the benefits of the gospel. Paul’s prayer request was that the Thessalonians would be counted worthy of their invitation to salvation. Works Of Faith With Power, 11b. The word “fulfill” (pleroo) means to fill to the brim, to cram, or to fill the hollow places. This word speaks of supplying completely. Since this prayer was offered to God, the filling, cramming, or supplying completely is to be done by God. The character placed in these Thessalonians through them being made worthy of their calling would produce conduct befitting their calling. Paul prayed that God would fill to the brim every desire for goodness the Thessalonians had. The word “goodness” (eudokia) means good pleasure. It has its origin in a word (eudokeo) that means to think well of or to be well-pleased. So Paul’s prayer was that God would completely do in and through the Thessalonians all that he had purposed to do. It was Paul’s prayer that God would have his way in and through the Thessalonians. Paul prayed that God’s plan and purpose would be lived out and realized in and through these young Christians. He prayed that they would please God through their believing and their behavior. He prayed that their character and their conduct would completely please God. The value of the conduct of these young Christians is seen in Paul’s prayer for their work of faith. The word “work” (ergon) speaks of toil or labor. The word “faith” (pistis) speaks of convictions. So Paul’s prayer was that God would completely do in and through the Thessalonians what they believed. It was his prayer that the Thessalonians would behave based on their beliefs in the gospel. Paul prayed that the beliefs and the behavior of the Thessalonians would match. Paul also prayed that the Thessalonians would work in faith with power. The word “power” (dunamis) speaks of power in connection with the Holy Spirit. It implies miraculous power. This word refers to the power of God, Jesus Christ, and the Holy Spirit. It speaks of the ability or capability of God the Father, God the Son, and God the Holy Spirit. It is power that is inborn. It does not derive from any source outside the possessor of it. The power of God the Father, God the Son, and God the Holy Spirit resides in each of them without help from anybody or anything. It is self-generated and self-contained. Paul prayed that the Thessalonians would live and work in power that is matchless and mighty. The power in which Paul prayed the Thessalonians would serve is the same kind of power that raised Jesus from the dead. It is the same power that was used to impregnate Mary with Jesus, the Savior of the world (Luke 1:35). The word “power” Paul used in reference to the work of faith of the Thessalonians is the power that will raise the saints from the dead (1 Corinthians 15:43). Paul prayed that the Thessalonians would be counted worthy of their calling. He also prayed that God would fill them to the brim with the character and conduct that is befitting a child of God. III. The Name Of Jesus Glorified, 12. In the close of the first chapter of Second Thessalonians, Paul gave the reason for his prayers for the salvation and service of the Thessalonians. It was Paul’s prayer that the Thessalonians would bring glory to the name of God. The word “name” (onoma) speaks of authority and character. Paul understood that the goal of the saint and servant of God is to glorify God and to allow God to glorify himself in us. The word “glorified” (endoxazo) means to be honored or to be shown as wonderful. The Lord Jesus will allow his saints and servants to share in his divine glory. Our glorifying the Lord Jesus and him glorifying himself in us is only done through the grace of God and the Lord Jesus Christ. This is not something we deserve. Paul prayed as he did for the Thessalonians in an effort that they would exalt the Lord Jesus and not themselves. The Lord Jesus is glorified in us when he transforms us from sinners to saints. He further glorifies himself when he transforms us into servants. The Lord Jesus glorifies himself in us by saving us and keeping us saved despite our faults and failures. We are saved and made servants by grace plus nothing. There was a preacher who was speaking to a medical college in India on “Let your light so shine before men that they may behold your good works and glorify your Father.” In front of the lectern was an oil lamp, with its cotton wick burning from the shallow dish of oil. As he preached, the lamp ran out of oil, the wick burned dry, and the smoke made him cough. He immediately used the opportunity to say that many people are like the wick that had burned out. He said that many people are trying to shine for the glory of God, but they stink. That is what happens when we use ourselves as the fuel of our witness rather than the grace of God and the Lord Jesus Christ. Wicks can last indefinitely, burning brightly and without irritating smoke, if the fuel, the grace of God and the Lord Jesus Christ, are in constant supply. “Now we request you, brethren, with regard to the coming of our Lord Jesus Christ and our gathering together to Him,  that you not be quickly shaken from your composure or be disturbed either by a spirit or a message or a letter as if from us, to the effect that the day of the Lord has come” (2 Thessalonians 2:1-2, NASB). One of the great challenges that faced the Thessalonians was false teaching. The young Christians in Thessalonica had to deal with so-called teachers of the word of God who were filled with error. It does not matter whether the teacher teaches what is false intentionally or out of ignorance, false teaching hinders the church. False teaching can hinder souls from being saved and saints from growing in grace and the knowledge of Jesus Christ. False teachers hinder the church because their teachings often aim at the mental, the emotional, and the physical strength of people. As important as these things are, they do not make people spiritually healthy. False teachings often aim at how people can improve themselves and how they should view themselves mentally and emotionally. Again, these things are important, but they do not save people and cause them to grow spiritually. I agree that positive thinking is good for the personality. But we have to know that positive thinking cannot produce a Christian. Even in our time, we probably hear more teachings that are aimed at the mental, the emotional, and the physical person than we do the spiritual. This is one of Satan’s tricks to keep sinners from being saved and saints from growing spiritually. One tragedy the church faces is that she often has the truth preached and taught to her but someone else makes the untruth more appealing than the truth. False teachings are often proclaimed in such a charming and persuasive way that people are convinced that error is truth and truth is error. This is what Paul dealt with as he wrote to the Galatians. Paul was amazed that the Galatians were removed from the truth of the gospel after such a short period of time after being saved (Galatians 1:6-10). I do not believe that many of the teachers in our day are teaching false doctrine because they intend to teach what is false. I believe that the problem with many of them is that they are strongly influenced by the trends of the times. They are so impressed with the voices around them that they do not hear and understand what God is saying in his word. As you look at those who were teaching error among the Thessalonians, it does not appear that they were teaching out of love for the people they taught. They taught for the purpose of leading the Thessalonians away from the truth of the gospel. These young Christians in Thessalonica had to deal with the false teachings along with persecutions and afflictions. Stability Concerning Christ’s Return, 1. Here in verse one, Paul is seen writing to the Thessalonians as a member of the same Christian family. He called them brethren (adelphos) because they were in the same spiritual family. There were two issues with which Paul concerned himself. Paul was concerned about the coming of the Lord Jesus Christ and the gathering of saints together with the Lord Jesus Christ. Paul wrote as he did to the Thessalonians because there was some false teaching going on among them concerning the return of Christ. The return of Christ is an important part of the gospel because the gospel includes Jesus saving those from sin’s presence whom he saves from sin’s penalty. If there is no salvation from sin’s presence, there is no salvation from sin’s penalty. If these young Christians began to become unstable concerning the return of Christ, it would affect how they lived each day. Here in verse one, Paul was declaring the certainty of the return of Christ. This was a message he had preached to the Thessalonians while he was in Thessalonica. Old Testament prophets used the term “the day of the LORD” (Isaiah 13:6, 9; Zephaniah 1:14-16). The day of the LORD would be the time when judgment will be brought on the wicked and blessings upon the righteous. The return of Christ will be the time when the righteous will be brought together in union with Christ forever. Verse one was a reminder to the Thessalonians that their sufferings and persecutions were temporary. There will be a time in their future when they will live in a place where sufferings and persecutions cannot enter. They will live forever in the presence of Jesus. This will give them relief from persecutions and afflictions. Here in verse two, Paul is seen giving the reason for his readers understanding the return of Christ and their gathering together with Christ. It was for the purpose of them maintaining their composure and not being disturbed. The word “composure” (nous) speaks of the mind or the intellect. It is the understanding or the thoughts. It has reference to the power to make moral judgments. Paul did not want these young Christians to become confused because of the false teaching. Paul’s concern was that the Thessalonians would not be so adversely affected by the false teaching that was going on that they would be shaken from their ability to make the right decisions. The word “shaken” (saleuo) means to agitate or to cast down. It speaks of the disturbance of what would be considered to be stable. It suggests causing to waver or to have unsteady behavior. Paul’s concern was that the Thessalonians would not be tossed about like a ship in a storm on the sea. The word “shaken” also has reference to the shaking experienced in an earthquake. The word “shaken” is in the passive voice. This suggests that an action was performed upon them. They were the recipients of an action. The fact that these young Christians did not clearly comprehend the return of Christ would cause them to become disturbed in mind. The false teaching that was going on in Thessalonica would move the saints in Thessalonica from stability to instability. The word “disturbed” (throeo) here in verse two means to be frightened, troubled, or terrified. This word is in the present tense and it is also in the passive voice. This means that because of false teaching, these young Christians were already living in fear of the return of Christ. The false teaching was already having an adverse affect on their lives. So Paul was challenging them to remain stable in mind. They should not be shaken or disturbed because of false teaching. III. Stability In Hearing Messages, 2. There are some people who drift from church to church for the purpose of hearing different messages. They feel that God is leading them from one church to another to hear all of these different messages. However, that kind of movement is a sign of instability. God gave churches pastors because sheep need a shepherd. Christians who live without a shepherd are living below God’s design for them. Paul requested, beseeched, begged the Thessalonians to develop stability in hearing what they thought to be the word of God. They ran the risk of hearing messages from teachers who would claim to have the same knowledge and authority as Paul and his companions. These young Christians needed to know that no teacher would love them like their shepherd. The word “spirit” (pneuma) in this passage speaks of the supernatural or the immaterial. It is the inner being of a person. This means that we should never believe what is in our spirit when it contradicts the word of God. Just because a spirit speaks to us, that does not mean the Holy Spirit is speaking. The Holy Spirit never teaches us anything that is contrary to the word of God. So Paul was telling the Thessalonians that they should remain stable, even when messages came to them from a spirit. These young Christians in Thessalonica also needed to remain stable when they heard messages or received letters that claimed to have the same authority as that of Paul and his companions. The word “messages” (logos) here speaks of teachings that come orally. The word “letter” (epistole) is a written message or letter. This was a word of warning to the Thessalonians to not allow anything that came to them from what they thought to be supernatural, by word of mouth, or by letter concerning the return of Christ shake or disturb them. The Thessalonians needed to keep in mind that the return of Christ is a part of the gospel. We see this in what Paul said to the Corinthians concerning the Lord’s Supper, “… “This is My body, which is for you; do this in remembrance of Me.” …“This cup is the new covenant in My blood; do this, as often as you drink it, in remembrance of Me.”  For as often as you eat this bread and drink the cup, you proclaim the Lord’s death until He comes” (1 Corinthians 11:24-26, NASB). “Let no one in any way deceive you, for it will not come unless the apostasy comes first, and the man of lawlessness is revealed, the son of destruction,  who opposes and exalts himself above every so-called god or object of worship, so that he takes his seat in the temple of God, displaying himself as being God” (2 Thessalonians 2:3-4, NASB). In the opening verses of this second chapter of Second Thessalonians, Paul was expressing deep concern for the spiritual stability of the Thessalonians. He did not want these young Christians to stray from the teachings he had given them concerning salvation and the return of Christ. There were some false teachers who were convincing some of the Thessalonians that the persecutions and afflictions they were experiencing were signs that Christ had already returned. Paul begged the Thessalonians to not easily be disturbed by the false teaching that was coming from the false teachers. He begged them to not be so easily thrown off course in their thinking and understanding concerning the return of Christ. Paul begged the Thessalonians to not be in a state of fear because of what was being taught by the false teachers. They should not allow false teaching to have any impact on their lives. It appears that the false teachers were calling attention to the supernatural in an effort to convince the Thessalonians of the accuracy of their teachings. But Paul begged his readers to not be troubled by a spirit, a message, or a letter. They were being told to not allow anything they felt, heard, or read to cause them to become unstable in their beliefs or their behavior. It appears that at least some of the false teachings were given the appearance that they had come from Paul and his companions. But Paul wanted these young Christians to know that he had not changed his teachings. Paul wanted his readers to know that there were some particular events that would take place before Christ returns. The Abandonment Of The Truth, 3. Paul assured his readers that Christ will not return until certain events take place. The first of the events would be the apostasy. The word “apostasy” (apostasia) speaks of a defection from the truth. It is a falling away or forsaking of the truth. This word suggests an open rebellion against the truth with the intent of opposing it. It has reference to changing loyalties. Paul was saying to the Thessalonians that Christ will not return until there has been a falling away from the truth of the word of God. The return of Christ will not occur until there has been the abandonment of the truth of the word of God. It is apparent that Paul’s readers knew exactly what he was talking about. Although we cannot say for sure that we know when that time is to which Paul had reference, we can say that we see much falling away from the truth of the word of God now. There is much error being proclaimed in our world and it is being proclaimed with even greater enthusiasm than the truth. The error is being made more appealing than the truth. This abandonment of the truth of the word of God will not be done by Christians. It is impossible for Christians to lose their salvation. The abandonment from the truth of the word of God will be done by people who profess to be Christians. This departure from the truth had begun in Paul’s days and it continues in our day. However, there is going to be an even greater departure from the truth of the word of God that will occur before the return of Christ. Paul encouraged the Thessalonians to not be deceived by the false teachers. The word “deceived” (exapatao) means to be completely seduced. It means to lead out of what is right and into what is wrong. It carries the idea of being lured away by the use of bait. These young Christians were being encouraged to maintain stability in what they had been taught concerning the return of Christ. There are some events that must take place before Christ returns. So Paul did not want anyone in any way to deceive the Thessalonians. Because of having taught them, there was no reason for the Thessalonians to be gullible. The Man of Lawlessness Revealed, 3. Before Christ returns, Paul said that there is one whom he called the man of lawlessness that would be revealed. The word “revealed” (apokalupto) means to pull off the cover or to disclose. It means to remove a veil or covering so that what had been hidden is now open to view. It suggests making known something that was previously unknown. The man of lawlessness will not be a newcomer. He will be someone who looked and acted like someone other than whom he really was. Since the man of lawlessness will be uncovered, that means that for a period of time he will do his evil works and people will not recognize him. He will go about this world so disguised that he will look as normal as anybody. Yet he will be controlled by lawlessness. This word “lawlessness” (anomia) speaks of the violation of the law. It has reference to wickedness. It is transgression of the law of God. It is unrighteousness. The man of lawlessness will be a violator and transgressor of the law of God, and for a period of time, no one will know it but him and God. He will be able to hide from humanity until the time he is revealed. But he will never be able to hide from God. Despite how the man of lawlessness may present himself, Paul referred to him as the son of destruction. The word “destruction” (apoleia) speaks of ruin or loss. It is a word that speaks of exclusion from salvation after death. This is the word that was used of Judas by Jesus. Jesus said, “While I was with them, I was keeping them in Your name which You have given Me; and I guarded them and not one of them perished but the son of perdition, so that the Scripture would be fulfilled” (John 17:12, NASB). Paul assured his readers that the man of lawlessness is doomed to destruction. He will be condemned by God because of his opposition to the law of God, which is the word of God. God cannot and will not be opposed without some serious consequences for the opposer. The man of lawlessness is destruction personified. This is why he is called the son of destruction. He bears the nature of his father, who is destruction. He is spiritually lost and will remain spiritually lost eternally. He will experience total defeat when Christ returns. III. The Man Of Lawlessness Self-exalted, 4. The man of lawlessness who will be revealed will demand that the whole world worships him. He will take a seat in the temple of God and show himself as God. Look at verse four and notice some of the ways Paul described the man of lawlessness. The word “opposes” (antikeimai) means to be adverse, to be contrary, or to set oneself against. It means to be hostile toward or to be an opponent. The man of lawlessness will be against everything God is for and for everything God is against. The word “opposes” here in verse four is in the present tense. This means the man of lawlessness keeps on opposing God and the word of God. There was one like the man of lawlessness written about by the prophet Daniel while the children of Israel were in captivity in Babylon. Daniel wrote, “‘He will speak out against the Most High and wear down the saints of the Highest One, and he will intend to make alterations in times and in law; and they will be given into his hand for a time, times, and half a time” (Daniel 7:25, NASB). Daniel also wrote, “And through his shrewdness He will cause deceit to succeed by his influence; And he will magnify himself in his heart, And he will destroy many while they are at ease. He will even oppose the Prince of princes, But he will be broken without human agency” (Daniel 8:25, NASB). The man of lawlessness will be the embodiment of opposition to God’s law, God’s word. He will personify rebellion against God’s law. The Exalter Of Self, 4. The man of lawlessness will not expect anyone to lift him up or give him preeminence. He will do that for himself. He will lift himself up above everything that is called God or that is worshiped. The word “exalts” (huperairomai) means to raise oneself over, to become elevated, or to think too highly of self. It suggests being inflated or puffed up. The man of lawlessness will see God and everything connected to God as below him. The man of lawlessness will proudly set himself up as something he is not in reality. He will set himself up as superior to every so-called god or object of worship. The word “object of worship” (sebasma) speaks of anything or anybody that is worshiped. This includes the supposed gods of the cults and the one true God. Paul said that the man of lawlessness will take his seat in the temple of God. This suggests that he will appoint himself as the object of worship. He will appoint himself as sovereign. The word “take his seat” (kathizo) means the man of lawlessness will be seated in a place of power and authority. The idea is that of the man of lawlessness sitting while the people stand or kneel to worship him. The man of lawlessness will go so far as to display himself as being God. The word “displaying” (apodeiknumi) means to show off, to exhibit, or to demonstrate. He will appoint himself as God. He will deify himself and set himself up in the temple of God. The word “temple” (naos) speaks of any temple or sanctuary, whether built for the one true God or idol gods. It may even have reference to the body as the temple of the Holy Sprit who is in us (1 Corinthians 6:19). The intent of the man of lawlessness will be to dethrone God. Despite the revelation of the man of lawlessness, the church needs to continue worshiping and serving the one true God. The one true God is worthy of our worship and service because of whom he is and what he does. God’s offer of salvation is free. “Do you not remember that while I was still with you, I was telling you these things? And you know what restrains him now, so that in his time he may be revealed. For the mystery of lawlessness is already at work; only he who now restrains will do so until he is taken out of the way” (2 Thessalonians 2:5-7, NASB). In this second chapter of Second Thessalonians, Paul was expressing concern that the Thessalonians were being confronted with false teaching concerning the return of Christ. There were some false teachers who were seeking to convince the Thessalonians that the reason for their persecutions and afflictions was because Christ had already returned. It was Paul’s intent in writing verses one through twelve to set the record straight concerning the return of Christ. These young Christians needed to calm down and focus on what Paul had taught them. Paul begged the Thessalonians to not allow the false teachers to disturb their minds concerning the return of Christ. They should not allow the false teachers to cause them to lose their composure. The reason these young Christians should not allow the false teachers to cause them to lose their composure is because there are two events that must occur before Christ returns. Neither of these events had occurred. The first event that must occur before Christ returns is the apostasy. The apostasy is a falling away from the truth of the word of God. Before Christ returns, there will be an abandonment of the truth of the word of God. The time will come when there will be an open rebellion against the word of God. This rebellion against the word of God will be done by people who profess to be Christians. So Paul begged the Thessalonians to not be deceived or seduced by the false teachers. This is a message to the church today to not be seduced by people who profess to be Christians but are not. Another event that must occur before the return of Christ is the revelation of the man of lawlessness. This man of lawlessness will be a lost man who disguises himself as a saved man. He will oppose the truth of the word of God and will exalt himself above everything and everybody that has been worshiped in the past. He will even go so far as to proclaim himself to be God. Here in verse five, Paul was calling the attention of the Thessalonians to what he had taught them while he was among them. Apparently Paul’s teaching was short-lived with many of these Thessalonians. The false teachers were apparently saying what was wrong more convincingly than Paul had said what was right. It appears that the messages of error that were being presented by the false teachers were being presented in more appealing ways than the messages of truth presented by Paul. Paul told the Thessalonians to remember his prior teachings. The tense of the verb “remember” (present, active, indicative) meant the Thessalonians were to keep on remembering. They were to never forget. In the word remember (mnemoneuo), Paul was telling them to be mindful, to exercise their memory, to recollect, or to recall. The Thessalonians were to hold in their minds the things Paul had taught them concerning the return of Christ. If they would remember they would know when something was being said that contradicted what Paul taught. While Paul was with the Thessalonians, he often spoke of the apostasy, the revealing of the man of lawlessness, and the return of Christ. Despite all that Paul had taught, the false teachers were able to convince the Thessalonians of something different. The following of something different on the part of the Thessalonians could have been avoided if the people had just kept in their minds the things that had been taught by their God-given leader. The tense of the verb “was telling” (imperfect) suggests a continual or repeated action. So the teaching the false teachers were doing was going against something Paul had taught over and over again. It is apparent that as much as Paul taught on the subject of the return of Christ, it did not sink in with at least some of the hearers. The issue was important enough for Paul to keep on teaching it. However, the people did not grasp it. The word “telling” (lego) speaks of a systematic discourse. Paul organized his thoughts so that they could be clearly understood. However, there were some who still did not get it. Paul worked hard at preparing the Thessalonians for what was ahead. However, the people missed it. Despite all of the effort he put into his ministry and the people he was commissioned to serve, many of them were led astray by teachers who did not love them and have their best interest at heart. The disturbed hearts of the Thessalonians could have been avoided if they had only kept in mind the things Paul taught while he was with them. The Thessalonians needed to know that Paul’s teachings had not changed concerning the return of Christ. Paul had taught them about the return of Christ when he was with them in Thessalonica. He was now calling on them to remember those important lessons. Paul was certain of the accuracy of the lessons because he taught them himself. The Thessalonians should have known well by now the things the false teachers were teaching were wrong. Blessed With Right Teaching, 6. It is apparent that Paul was clear enough in his teaching while in Thessalonica that the Thessalonians knew what he was talking about when he spoke of the revelation of the man of lawlessness. Paul had clearly taught these young Christians that the man of lawlessness was being restrained. Paul did not say what it was that was restraining the man of lawlessness, but the Thessalonians knew. They were not left in the dark. Although we may guess what it was, the first readers of this letter were sure of it. For the Thessalonians to know what it was that was restraining the man of lawlessness, that meant that Paul’s teachings were clear. The word “know” (eido) means to see with perception or to come to a realization. It is knowledge that is well known or accepted as fact. The person or thing that was restraining the revelation of the man of lawlessness was known without a doubt, because Paul had taught it. It is worth noting that the restraining of the man of lawlessness was only temporary. He was presently being restrained but he would not be restrained forever. He will be revealed in his time. He will be uncovered in his time. The word “time” (karios) speaks of a set or proper time. It speaks of a season. It often has reference to divinely allotted time. There was something or someone holding the man of lawlessness back and he will not be turned loose until the person or thing holding him releases control. The one restraining the man of lawlessness should be seen as the one in control. The man of lawlessness does not have the freedom to do whatever he pleases whenever he pleases. The one restraining him must release control. This means the power of the man of lawlessness is limited. At this point, the one restraining the man of lawlessness is prevailing. This means that there is tension between the man of lawlessness and the one who is restraining him. The man of lawlessness will not appear suddenly. He is already at work. The word “restrains” (katecho) speaks of something that holds back. Here it speaks of something under the control of something else. These Thessalonians had a complete understanding of whom or what it was restraining the man of lawlessness. They also knew that the revelation of the man of lawlessness was a part of the purpose of God. It would lead to the destruction of the lawless one. III. The Taking Away Of The Restraint, 7. The taking away of the restraint of the man of lawlessness will be a sad day for him. He will look like he has won a victory. But he will actually go down in defeat. You will notice that the man of lawlessness was already at work in Paul’s day. The word “mystery” (musterion) carries the idea of a secret rite. It is a secret that is only given to one who is initiated into a group. It has reference to a secret doctrine. This is the way cults operate. There may be some things you should know that you will not know until you have made the commitment to be a part of it. There were some persons in Paul’s day who were already leading people away from the gospel and into their way of thinking. Whomever the restrainer is, you will notice that he is also under the control of someone else. The one who controls him will take him out of the way. The man of lawlessness will only be revealed after the restrainer is taken away. The word “taken” (ginomai) means to be put out of the way or to be removed. The restrainer is in control of the revelation of the man of lawlessness. He will be taken out of the way but he will not be taken away. The restrainer is permanent but the man of lawlessness is temporary. The story is told that years ago in the nation of Malaysia, a cross-country race was held. Several hours after the starter’s pistol was fired, none of the competitors had crossed the finish line. Fearing the worst, the race’s officials got into their automobiles to search for the missing runners. Their fears were soon laid to rest. It turns out that the lead runner had taken a wrong turn and the rest of the pack had followed him for at least a ten-mile jaunt. All of the runners were sprinting in the wrong direction. Paul was telling the Thessalonians that the world will one day find itself in the same situation. The power of God will allow the man of lawlessness to lead the lost into a race of lawlessness with absolutely no moral direction. Evil will become indescribable as it leaves morality behind in the dust. When the restraining power of God is removed from the earth, we need to be careful whose lead we follow. “Then that lawless one will be revealed whom the Lord will slay with the breath of His mouth and bring to an end by the appearance of His coming;  that is, the one whose coming is in accord with the activity of Satan, with all power and signs and false wonders,  and with all the deception of wickedness for those who perish, because they did not receive the love of the truth so as to be saved” (2 Thessalonians 2:8-10, NASB). In verse three of this second chapter of Second Thessalonians, Paul introduced to us a man called the man of lawlessness. The man of lawlessness will be revealed before the return of Christ. Another thing that will occur before the return of Christ will be the apostasy. Paul told the Thessalonians about both of these events in an effort to settle their fears concerning the return of Christ. There were false teachers in Thessalonica who were trying to convince the Thessalonians that Christ had already returned and that was the reason for their present suffering. You will notice in verse three that the man of lawlessness is referred to as the son of destruction. This means that he is eternally lost. However, he will exalt himself above everything that is considered divine, despite the fact that he is evil himself. This man of lawlessness was not new to the Thessalonians. You will notice in verse five that Paul told these young Christians about the man of lawlessness while he ministered in Thessalonica. Paul told the Thessalonians that the man of lawlessness was presently at work but he was being restrained (6-7). The Destruction Of The Lawless One, 8. Once the restraint is taken out of the way, the man of lawlessness will be revealed. Either the man of lawlessness does not know it, or he does not believe that the revelation of himself will mean his doom. But the man of lawlessness will be slain by that which comes from the mouth of Jesus Christ when Christ returns. The word “slay” (analisko) means to destroy, to take away, or to come soon. If you will notice verse seven, Paul said that the restrainer of the lawless one will be taken out of the way. At that time, the lawless one will be revealed and taken away. He will be completely consumed. The lawless one will cease to exist. The doom of the lawless one will occur without much effort on the part of Jesus. Jesus will destroy him with the breath of his mouth. The word “breath” (pneuma) speaks of a breath of air that comes from the mouth of Jesus. The word “breath” speaks of the vital principle of a person. The completeness of who Jesus is will bring doom to the lawless one. The lawless one will be doomed by the power of the mouth of Jesus. When Jesus returns, he will put to an end the lawless one and all the lawless one is doing and has done. The plans and programs of the lawless one will be defeated when Christ returns. This means that his plans and programs are temporary. This is a picture of the fact that Jesus is more powerful than the lawless one. Jesus will bring immediate and effortless doom to the lawless one. The “appearing” (epiphaneia) of Christ speaks of his splendor and greatness. The word appearing speaks of the manifestation of Jesus Christ. When Jesus returns, he will return in magnificence and power. The Deceit Of The Lawless One, 9. The lawless one will gain such a great following because of his activity. His activity is motivated by Satan. Since Satan has lived in heaven, he knows what good looks like. So he is able to make good look evil and evil look good. This is why Paul said the lawless one would come in accord with the activity of Satan. The lawless one will come with power, signs, and false wonders. Paul is showing us here that the lawless one will counterfeit the power of God. The word “power” (dunamis) is used concerning the power of the Holy Spirit. So this means the lawless one will do things that will look like those things done by the Holy Spirit. This means a miracle worker may not be heavenly in origin. Because so many people live without discernment, they will not know the difference between what is done in the power of the Holy Spirit and what is done by the lawless one. This is why it is so important for Christians to remain in the teachings of their God-given leader. A God-given leader will teach the truth without compromise. The lawless one will also perform signs (semeion). This word was used by John in reference to the miracles. This word also speaks of miracles performed with an intent to show spirituality. This word speaks of miracles that confirm divine authority. This means the lawless one will do miracles that will make him look as though he is operating in the power of God and on the authority of God. Paul was saying that the lawless one will perform miracles that will make him look like he is what he is not. Paul also used the word “false wonders” (pseudos teras) to describe the activity of the lawless one. This word speaks of things done in the realm of the supernatural with the intent of deceiving. Jesus said, “For false Christs and false prophets will arise and will show great signs and wonders, so as to mislead, if possible, even the elect” (Matthew 24:24, NASB). Mark also wrote about this in his gospel (Mark 13:22). This means the lawless one is working hard at leading Christians astray as well as keeping sinners from knowing the truth of the gospel. The power, signs, and false wonders are all done through energy generated by Satan. This is the thing that makes the lawless one so dangerous. He will operate in the power of Satan and he will look like he is operating in the power of God. We usually think of the activity of Satan in terms of bodily lusts. But as you can see, the lawless one will operate freely without any seemingly immoral acts. He will operate in the realm of the spiritual. Again, this is why it is so important to know, believe, and practice the word of God in its purity. This is a word of caution to people who are always looking for something new and exciting. The new and exciting may very well be the activity of the lawless one. III. The Doom Of The Followers, 10. Here in verse ten, Paul is seen dealing with the deception of the lawless one and those who follow him. The lawless one will deceive in every way he possibly can. He will be successful because his evil will be masked by good. The real issue with those who follow the lawless one is that they have rejected the truth of the gospel. Rejecting the truth of the gospel makes it impossible for those who follow the lawless one to be saved. Paul said that those who follow the lawless one perish. The word “perish” (apollumi) means the followers of the lawless one share his doom and his destiny. They will be ruined. They will be eternally lost. They will experience eternal death. In fact, since the word perish is in the present tense. This means the followers of the lawless one are perishing even now. Their doom and destruction have already begun. The road that leads away from God and the gospel is a road that leads to doom and destruction. This is the road traveled by the lawless one and all who follow him. Those who follow the lawless one will be lost despite how sincere they might be. Sincerity will not make up for rejecting the gospel. Rejecting the gospel leads to doom because rejection of the gospel is rejecting God and Jesus Christ. God gave Jesus and Jesus gave his life so that we may experience eternal salvation. And rejecting Jesus is a rejection of God’s love. John 3:16 says, “For God so loved the world, that He gave His only begotten Son, that whoever believes in Him shall not perish, but have eternal life” (NASB). “God” is the greatest lover. “So loved” is the greatest degree. “The world” is the greatest number. “That He gave” is the greatest act. “His only begotten Son” is the greatest gift. “That whoever” is the greatest invitation. “Believes in Him” is the greatest simplicity. “In Him” is the greatest person. “Should not perish” is the greatest deliverance. “But” is the greatest difference. “Have” is the greatest certainty. “Eternal life” is the greatest possession. “But we should always give thanks to God for you, brethren beloved by the Lord, because God has chosen you from the beginning for salvation through sanctification by the Spirit and faith in the truth. It was for this He called you through our gospel, that you may gain the glory of our Lord Jesus Christ” (2 Thessalonians 2:13-14, NASB). As you look at verses three through twelve of this second chapter of Second Thessalonians, you will see a very dangerous person introduced. His name is not given but he is called the lawless one. He was given this name because he lifted himself up above every so-called god or object of worship. This lawless one was already at work in the days of Paul and he is still at work in the present. His works are generated by the power of Satan. He is doing powers, signs, and lying wonders without being noticed for whom he really he is. He is counterfeiting the works of God and his followers do not even know it. The followers of the lawless one are deceived by him and will share in his doom and his destiny. The doom of the lawless one will occur when Christ returns. This means the existence of the lawless one is temporary. Christ will destroy him with the breath of his mouth (8). Paul moved from the deceit and doom of the lawless one in verses three through twelve to the election and salvation of the Thessalonians. Despite all that was going on around them, the Thessalonians could be assured of their safety and security. Their safety and security was due to God’s love for them. Here Paul was giving his readers a message concerning their eternal security. There was no need for these young Christians to live in fear of the return of Christ, nor of the works of the lawless one. The return of Christ would mean eternal blessings for the saved. You will notice that as Paul spoke about the salvation of the Thessalonians, he spoke about the past, the present, and the future. God’s Love Experienced And Expressed, 13. You will notice that Paul felt an obligation to constantly give thanks for the love God expressed toward the Thessalonians. The love God has for humanity is not because of anything in humanity being naturally worth loving. God loves humanity because love is a part of his nature. Paul was certain his readers could feel confident in God’s love for them. He was echoing the words of John in his first letter. John said, “We have come to know and have believed the love which God has for us. God is love, and the one who abides in love abides in God, and God abides in him” (1 John 4:16, NASB). It is because of God loving humanity that God moved toward humanity while humanity was moving away from him. God loved humanity while humanity was still sinners (Romans 5:8). This is how we become the beloved of the Lord. Beloved of the Lord is our true standing in the sight of God. In Paul’s thanksgiving for the Thessalonians, he called them “brethren” (adelphos). This word means that we have the same Father and we share a common love from God. All children of God share equally the love of God. There is no partiality in the love God has for humanity. The word “beloved” (agapao) means to esteem. It has reference to finding joy in something or someone. This word speaks of regarding with favor, goodwill, or benevolence. Here Paul was telling the Thessalonians how the Lord felt about them. The fact that Paul called the Thessalonians brethren meant that they shared a common nature. This is also a message to the Thessalonians that they shared a common Savior and salvation with Paul and his companions. As saved people, we are partakers of the nature of God. We share a common inner life because the Holy Spirit indwells all Christians. The love of God toward humanity did not begin at some point when humanity became loving and obedient. God was more concerned with what he could make out of us than what we were in the past. Paul told the Thessalonians that God expressed his love by choosing them for salvation through sanctification by the Spirit and faith in the truth. The word “chosen” (haireomai) means to elect, to prefer, or the take for onself. God chose to save these young Christians from the guilt and power of sin. God expressed his love for these young Christians by choosing them for salvation from Satan’s dominion over them. God chose to take away the sins of these young Christians and take them into his family as his children. The choice of these young Christians was not an afterthought with God. They were chosen from the beginning. The word “beginning” (arche) speaks of the first, a point at the beginning of a duration. The Thessalonians were chosen for salvation before the foundation of the world. They were also chosen to be some of the first to be saved in Macedonia. God intervened in the lives of these young Christians. Their destiny was the same as that of the lawless one and his followers without God choosing them for salvation. Because God’s choice of the saved is from the beginning, we can be assured that it cannot be revoked. It is impossible for God to change his mind. Since God chose these Thessalonians for salvation, there was no reason for them to be lifted in pride. God is to be exalted because he is due all the credit. The process of salvation takes place by the cleansing and sanctifying work of the Holy Spirit. The Holy Spirit operates through faith. Our belief of the truth of the gospel produces a regenerated life. God expresses his love for us as Christians by indwelling us with the Holy Spirit and giving us faith. Paul was certain to remind the Thessalonians of the means by which they loved and saved. The preposition “through” speaks of both the Spirit and faith. God chose to set us apart for himself through the Holy Spirit and through faith. This was a message to the Thessalonians to not stray from the gospel. These young Christians needed to know that any message that contradicted the gospel could not bring salvation. They should not be fooled by the lawless one and his followers. Regenerated To Be Glorified, 14. When God saves, he saves to glorify himself and his Son. God’s choice of the Thessalonians was for the purpose of giving them quality of life and not quantity of life. God’s purpose in saving humanity is to give humanity the glory of the Lord Jesus Christ. The idea of the Thessalonians being called (kaleo) through (dia) the gospel speaks of an event that had its origin in the mind of God. Here Paul was speaking of God’s invitation of salvation to the Thessalonians. The gospel was the channel through which God extended the invitation to salvation. God used the gospel to bring salvation to the Thessalonians. You will notice here in verse fourteen that Paul was lifting up the past salvation of the Thessalonians and their future glory. They were regenerated in the past. They were sanctified in the present. They will be glorified in the future. There are no more trials to endure. There is no more pain to suffer. There are no more frustrations to face. There are no more temptations to experience. There are no more burdens to carry. There are no more encounters with death. “So then, brethren, stand firm and hold to the traditions which you were taught, whether by word of mouth or by letter from us. Now may our Lord Jesus Christ Himself and God our Father, who has loved us and given us eternal comfort and good hope by grace,  comfort and strengthen your hearts in every good work and word” (2 Thessalonians 2:15-17, NASB). In verse thirteen of this second chapter of Second Thessalonians, Paul expressed gratitude for the Thessalonians. This gratitude was expressed because the Thessalonians were elected for salvation. Their election by God came despite them living in a time when the lawless one was at work. The fact that the Thessalonians were elected for salvation meant that they had become brethren beloved by the Lord. The Lord had looked upon them with favor. The Lord took pleasure in these young Christians. Because the Lord took pleasure in the Thessalonians, their destiny was different from that of the lawless one and his followers. The glorious future of the Thessalonians gave Paul a sense of obligation to give thanks for them. This thanksgiving was due to the fact that Paul and his companions could see the work of God in these young Christians in Thessalonica. They were chosen from the beginning. They were elected for salvation from the beginning. The idea of the beginning may speak of the time before the creation of the world, or it may also speak of the beginning of the sharing of the gospel in Thessalonica. These young Christians were the first fruits of the gospel in Thessalonica. You will notice in verse thirteen that the channel through which the Thessalonians were saved was the sanctifying work of the Holy Spirit and belief in the truth of the gospel. These young Christians had been set apart for the work of God by a positive response to the preaching of the gospel. They were invited to salvation through the message preached by Paul and his companions. Their salvation was for the purpose of them sharing in the glory of the Lord Jesus Christ. Despite the fact that the Thessalonians had been chosen for salvation, they were still invited through the preaching of the gospel. This means that God takes the initiative in salvation. He chooses to elect and call sinners to salvation through the gospel. This was a message concerning the importance and necessity of the gospel. There is no salvation for the elect of God outside the preaching of the gospel. God chose the Thessalonians for salvation and he called them to salvation through the gospel for the purpose of them sharing the glory of the Lord Jesus Christ. The Command For Steadfastness, 15. Here we can see that the Thessalonians were faced with the possibility of being influenced by wrong doctrine. Even when people are right, they can be strongly influenced by what is wrong. This seems to be the case with the Thessalonians. So Paul was commanding them to stay with what they had received from him and his companions. There was no room for relaxing. Their salvation meant that they needed to do two things. They needed to stand firm and they needed to hold to the traditions they were taught. The word “therefore” (ara) takes under consideration the fact that the Thessalonians were chosen for salvation and called to share in the glory of the Lord Jesus Christ. Based on their election and calling, they were now to stand firm and hold to the traditions they were taught. These young Christians needed to make a commitment to be steadfast and they needed to obey what they had been taught. The word “stand firm” (steko) means to persevere or to be steadfast in faith and profession of Christ. This was a command that was given to the Thessalonians. The tense of the verb “stand firm” (present, active, imperative) means that they were commanded to keep on standing firm. They were commanded to keep on persevering. They would only stand firm as they held to the traditions they had been taught. The word “hold” (krateo) here means to hold fast in the mind or to observe. These young Christians were not to let go of the gospel. The tense of the verb hold is the same as that of stand firm (present, active, imperative). This meant the Thessalonians were to keep on holding to the traditions they had been taught. The word “traditions” (paradosis) has reference to a doctrine or command delivered or communicated from one to another. Here Paul was speaking of the teachings he had handed down to the Thessalonians. Some of these teachings were oral and some were written. Whatever way they received them, they were commanded to keep holding on to what they had been handed. Prayer For Comfort And Strength, 16-17. You will notice here that Paul is in prayer for the Thessalonians. This prayer is a benediction, which is a prayer for blessings. Paul was praying for both the Lord Jesus Christ and God the Father to be active in the lives of these young Christians. It is apparent that the Thessalonians could not stand firm nor hold to the traditions Paul had taught without divine help. Although Paul was absent from the Thessalonians at this time, he remained active in their lives and ministry. Paul prayed for these young Christians because he loved them. Prayer is one of the greatest activities a person can engage in for someone they love. Paul was teaching the Thessalonians in this prayer that Jesus is both Lord and Christ. The word “Lord” (kurios) means that Jesus is sovereign in authority. He is owner and master. This word is the same as the word Lord (adonai) in the Old Testament that replaced the word Yaweh or Jehovah in the public reading of the Scriptures. So Paul was actually lifting up the divinity of Jesus. This is why he prayed to Jesus. Only divinity could give these Thessalonians what they needed to meet the challenges in their lives. You will also notice that Paul referred to Jesus as Christ (Christos). This word also speaks of the divinity of Jesus. This word speaks of Jesus as the anointed one or the Messiah sent from God. This word means that Jesus was God’s special choice to bring help and hope to a lost world. This is the one to whom Paul addressed his prayer for the Thessalonians. He also addressed his prayer to God the Father. The word “Father” (pater) has reference to the one by whom one is begotten. The Father is the ancestor in the direct line, the originator of the family. Here it speaks of God as having supernatural authority and care for his children. So Paul is seen praying to the right person concerning the needs of the Thessalonians. It is worth noting the terms by which Paul spoke of the Lord Jesus Christ and God the Father. Paul said, “Now may our Lord Jesus Christ Himself and God our Father, who has loved us and given us eternal comfort and good hope by grace” (16). He first spoke of the love God and Jesus had demonstrated. He then spoke of the generosity of God and Jesus. The word “given” (didomi) speaks of a gift bestowed from the good will of the giver and for the advantage of the recipient. You will also notice that here the gift had its origin in grace. The gift was eternal comfort and good hope. Comfort is encouragement and hope is the expectation of good with the desire of obtaining it. Paul was praying that the Lord Jesus Christ and God the Father would comfort or encourage and strengthen the hearts of the Thessalonians. The heart is the center of the emotions, the will, and the thoughts. The heart being strengthened was important to the words and work of the Thessalonians. All they said and did was generated from the heart. The prayer request was twofold. Paul prayed that the Lord Jesus Christ and God the Father would comfort or encourage and strengthen the Thessalonians. The word “comfort” (parakaleo) speaks of a compassionate and constructive motivation. It suggests called alongside to help. The word “strengthen” (sterizo) speaks of turning courageously in a certain direction. It speaks of a confirmation. Paul was praying that the Lord Jesus Christ and God the Father would give these young Christians all the encouragement and strength they needed to continue doing what they were doing. Paul wanted his readers to know that they should not give up in the face of difficult times. The story is told of two frogs that somehow got into a bucket of milk that was placed into a creek to keep the milk cool. Once the frogs got into the bucket of milk, they could not get out. One of the frogs tried swimming out and died in the process. The other frog, seeing the fate of his partner, started kicking, kicking, kicking and kicking some more. He kept on kicking, kicking, kicking and kicking until he churned the milk into butter, stood on the butter and leaped out of the bucket. He never gave up. So he was delivered from a difficult situation. “Finally, brethren, pray for us that the word of the Lord will spread rapidly and be glorified, just as it did also with you;  and that we will be rescued from perverse and evil men; for not all have faith” (2 Thessalonians 3:1-2, NASB). In the close of chapter two of Second Thessalonians (16-17), Paul was engaged in prayer for the Thessalonians. He was offering a benediction, which is a prayer for blessings. He offered this prayer to the Lord Jesus Christ and God the Father. Paul knew the right persons to whom to offer prayer. God the Father is the origin of blessings and the Lord Jesus Christ is the channel through which blessings come. You will notice that Paul gave testimony to the fact that the Lord Jesus Christ and God the Father were in a relationship with him, his companions, and the Thessalonians. This is why he used the plural, possessive pronoun “our” in reference to the Lord Jesus Christ and God the Father. Paul, his companions, and the Thessalonians had experienced the love of the Lord Jesus Christ and God the Father. The love of God was demonstrated by God giving Jesus as a sacrifice for our sins. The love of the Lord Jesus Christ was demonstrated by Jesus dying to save us from sins penalty. Paul, his companions, and the Thessalonians had also experienced the generosity of the Lord Jesus Christ and God the Father. They had been given eternal comfort and good hope by grace. In verse seventeen of chapter two, you can see that there were two petitions in Paul’s prayer for blessings upon the Thessalonians. The first petition was for comfort and the second petition was for strength. In this petition for comfort, Paul was petitioning the Lord Jesus Christ and God the Father to come alongside the Thessalonians for the purpose of giving them help. In the petition for strength, Paul was praying that the Lord Jesus Christ and God the Father would give the Thessalonians the strength needed to say what they needed to say and to do what they needed to do. It was a petition for the Thessalonians to be comforted and strengthened in their hearts in every good work and word. Here in chapter three, Paul was requesting of the Thessalonians that they would pray for him and his companions. It is often the case that church members seek the prayers of their pastor and fail to pray for him. A pastor has a high calling and heavy responsibilities. The responsibilities of the pastor can sometimes become totally overwhelming. Therefore, the pastor needs church members who will lift him in prayer daily. People who pray daily for their pastor are daily involved in his ministry. The Request For Prayer, 1. Despite how spiritually strong we may think Paul was, Paul understood that he needed the prayers of the saints. This would suggest that he did not see himself as superior to others in the church. Paul’s life was filled with difficulties and dangers and he invited the Thessalonians to share with him in those difficulties and dangers through prayer. In the word “finally” that opens chapter three, Paul was not saying that he was at the end of the letter. He was suggesting that there was more to follow. The word “finally” (loipon) means that there is something remaining. Here the word finally is used to transition from Paul praying for the Thessalonians to the Thessalonians praying for Paul. This is the fifth time in this short letter that Paul has referred to the Thessalonians as brethren (2 Thessalonians 1:3; 2:1; 2:13, 15). He will use it two other times before closing this letter (2 Thessalonians 3:13, 15). This was a reminder to the Thessalonians that they were in a very close relationship in Jesus Christ. They shared a common Father, a common Savior, a common salvation, and here they needed to share in common in their prayers. Paul was calling upon his brethren to pray for him and his companions. The word “pray” (proseuchomai) speaks of prayer offered to God for what is good or for diverting evil. It suggests a request is being made for divine intervention. The word “pray” is in the present tense and this means that Paul was requesting that the Thessalonians would ask God to keep on intervening in his life and the life of his companions. He was asking them to develop the habit of carrying him and his companions to the throne of grace. Prayer For Effectiveness In Ministry, 1. If you pay careful attention to Paul’s requests of the Thessalonians to pray for him and his companions, you will notice that he was not really concerned about his personal needs or the personal needs of his companions. Paul’s real concern was for the church and the ministry. It is apparent that Paul believed the members of the church in Thessalonica had a desire for the growth of the church. Paul asked the Thessalonians to pray that the ministry in other places would be as effect as it was in Thessalonica. The request was that the word of the Lord would spread rapidly and be glorified. The word of the Lord would be what we now know as the old Testament. This was the message Paul preached in winning the Thessalonians to Jesus Christ. The word “word” (logos) speaks of the content of what is preached about the Lord Jesus Christ. It was this message that Paul asked the Thessalonians to pray that it would spread rapidly. The word “spread rapidly” (trecho) means to run or walk with haste. This word speaks of the rapid and unhindered progress of the gospel. The idea Paul was projecting is that of a runner running in a race and winning. The runner who wins the race receives honor and glory. This honor and glory is part of the victory prize. Paul wanted people to do more than hear the gospel. He wanted them to believe it and accept it. This is why this prayer petition was so important. Paul was asking the Thessalonians to pray that the preaching of the gospel would accomplish its purpose. This prayer request was that the gospel would transform the hearts of hearers. Paul also requested of the Thessalonians that they would pray that the gospel would be glorified. This was a prayer request that the gospel would be accepted. It was not only important for preaching to take place, it needed to be believed. The word “glorified” (doxazo) in this passage speaks of being esteemed, honored, or exalted in dignity. Here Paul was asking the Thessalonians to pray that there would be the right response to the gospel. This prayer request was a compliment to the response given by the Thessalonians to the gospel. Paul said of the Thessalonians, “You also became imitators of us and of the Lord, having received the word in much tribulation with the joy of the Holy Spirit,  so that you became an example to all the believers in Macedonia and in Achaia. For the word of the Lord has sounded forth from you, not only in Macedonia and Achaia, but also in every place your faith toward God has gone forth, so that we have no need to say anything. For they themselves report about us what kind of a reception we had with you, and how you turned to God from idols to serve a living and true God,  and to wait for His Son from heaven, whom He raised from the dead, that is Jesus, who rescues us from the wrath to come” (1 Thessalonians 1:6-10, NASB). Paul had a concern that souls would be saved in other places like they were saved in Thessalonica. This was a prayer that the lives of others would be transformed like the lives of the Thessalonians. The Thessalonians had turned to God from idols to serve the living and true God. That was the kind of success Paul hoped to see in ministry in other places. Paul’s concern in this prayer requests was for the power of God to work in the lives of hearers of the gospel so that souls would be saved and God would be glorified. III. Prayer For Deliverance, 2. One thing is for certain and that is as the work of the Lord advances trouble from Satan can be expected. Therefore, Paul requested of the Thessalonians that they would pray for deliverance from perverse and evil people. Paul was certain that he and his companions would face severe opposition as their ministry faced success. Satan does not willingly release the souls of people. Even after he releases them, he continues to try to lure them back. Satan even goes so far as to tempt people to remain carnal rather than to become spiritual. You will notice that Paul requested of the Thessalonians that they would pray that he and his companions would be rescued from perverse and evil men. The word “rescued” (rhuomai) means to be drawn or snatched from danger. The voice (passive) of this verb means that the deliverance would have to come from someone other than the ones who were in danger. Paul understood that the situation he and his companions were in were too great for them to handle. Only God could help them. So Paul asked the Thessalonians to ask God to intervene on their behalf. When Paul spoke of perverse and evil people, he was speaking of those who did not believe and accept the gospel. These were the people who were actively fighting against Paul and his companions. The idea behind the word “perverse” (atopos) is that of out of place. This means a church may have members but those members are out of place because of not believing and accepting the gospel. This is understood by the use of the word faith (pistis) here in verse two. This word speaks of believing the truth. There are some people who are a part of the local church who have never been saved because they have not heard, believed, or accepted the gospel. This means they are religious but not saved. The word “evil” (poneros) speaks of people who are out of place morally and behaviorally. This word speaks of people who break God’s moral law. These are people who are influenced by the evil one. These people are out of step with the saved. I believe there are several reasons Paul requested the Thessalonians to go to the Lord Jesus Christ and God the Father on behalf of him at his companions as ministers and on behalf of the ministry. God’s grace is able to save. God’s mercy is able to forgive. God’s peace is able to comfort. God’s touch is able to heal. God’s promise is able to assure. God’s presence is able to bless. God’s glory is able to inspire. God’s strength is able to sustain. God’s power is able to deliver. “But the Lord is faithful, and He will strengthen and protect you from the evil one. We have confidence in the Lord concerning you, that you are doing and will continue to do what we command. May the Lord direct your hearts into the love of God and into the steadfastness of Christ” (2 Thessalonians 3:3-5, NASB). In the last two verses of chapter two (16-17) and the first five verses of chapter three of Second Thessalonians, Paul is seen expressing great confidence in the Lord Jesus Christ and God the Father. I say this because in the last two verses of chapter two Paul is seen praying to the Lord Jesus Christ and God the Father. In the first two verses of chapter three Paul is seen requesting the Thessalonians to pray to the Lord Jesus Christ and God the Father on his behalf. Paul requested that the Thessalonians would pray that the gospel would spread rapidly and that he and his companions would be rescued from perverse and evil men. Prayer is the acknowledgment of our weakness and God’s strength. Since Paul was asking the Thessalonians to continuously pray for him and his companions, he was asking them to keep him and his companions before the throne of grace. Since prayer is work, Paul was requesting of the Thessalonians that they would join him in the work of the spread of the gospel. This was a request for the Thessalonians to make prayer for Paul and his companions a habit. The prayers of the Thessalonians were not only important for Paul, they were important for the Thessalonians. A church without prayer is a church without power. Paul did not want these young Christians in Thessalonica to get so busy doing things that they had no time to pray. Paul, his companions, and the Thessalonians were engaged in spiritual warfare, and prayer is a part of the weaponry of the spiritual soldier. Our churches would be much more powerful and productive if church members responded to prayer with the kind of intensity with which they respond to other things of lesser value. You will notice in verses one and two of this third chapter of Second Thessalonians that Paul commanded the Thessalonians to pray for him and his companions. This was not a selfish request because his real desire for prayer was for the sake of the spread of the gospel. Paul also commanded the Thessalonians to pray that he and his companions would experience deliverance from wicked and evil men. Let us now watch Paul as he continued to write to the Thessalonians. Here in the verses of our text, Paul is seen expressing confidence in God’s power to provide for and protect his children. You will notice that the verses of this text form a shift from emphasis on the Thessalonians praying for Paul to Paul’s concern for their welfare. Paul was certain that there were some rough days ahead for these young Christians. So he wrote as he did to encourage them concerning God’s power and protection. Paul requested prayer of the Thessalonians because of his awareness of the fact that God would be active in his life and the lives of these young Christians with his omnipotence. God knew where Paul was and he knew the situation in which Paul served. At the time this letter to the Thessalonians was written, Paul was serving in Corinth. It was in Corinth that the Lord spoke to Paul in a vision and said, “Do not be afraid any longer, but go on speaking and do not be silent;  for I am with you, and no man will attack you in order to harm you, for I have many people in this city” (Acts 18:9-10, NASB). It was because of the circumstances in Corinth that Paul commanded the Thessalonians to pray for him and the success of the ministry. The Faithfulness Of The Lord, 3. The word “faithful” (pistos) speaks of the Lord being trustworthy, dependable, and unwavering. The Lord is unlike some of those whom the Thessalonians encountered in the church and their community. These young Christians had to deal with afflictions and persecution. So Paul was writing to them in an effort to encourage them to trust the Lord. The Lord will always accomplish his purposes in the lives of his people. Nothing Christians experience as a result of their service of the Lord is without a purpose. The Lord uses all of our afflictions and persecutions to mold us into the image of Jesus Christ. Just like the Lord is the source of our physical needs, he can also be trusted to be the source of our spiritual needs. The Lord can and will provide his children with strength and protection. The word “strengthen” (sterizo) means to establish, set firm, or to make steadfast in mind. This word speaks of inner strength. It is strength that keeps a person from being unsettled or unstable when faced with challenges. Paul’s concern was that he and his companions would have the inward stability to deal with the outward circumstances. It would be Paul’s inward stability that would make him adequate for what he experienced outwardly. The word “protect” (phulasso) means to guard, to preserve, or keep. It suggests being kept in safety. Paul was assuring the Thessalonians that the Lord would guard them by keeping his eyes on them. Paul was assuring the Thessalonians that the Lord would be a fortress for them. These young Christians could be assured that the Lord would hold them fast. The Lord will not allow the evil one to capture and hold his children. Paul was not saying the Thessalonians would not have some afflictions and persecution. He was saying the Lord would preserve them through their afflictions and persecution. The Obedience Of The Lord’s Servants, 4. You will notice that Paul had confidence in the Lord concerning the Thessalonians. The word “confidence” (peitho) means to be convinced. This meant that Paul was convinced that the Lord would strengthen and protect the Thessalonians. In verses one and two, Paul commanded the Thessalonians to make prayer for him and his companions a habit. Here in verse four, he was requesting of them that they would continue to make obedience to his teaching a habit. These young Christians in Thessalonica had not only made it a habit to pray for Paul, they had also made it a habit of obeying his teaching. Paul believed in both the present and future obedience of the Thessalonians to his teaching. The verb “doing” (poieo) is a present active verb that means the Thessalonians were presently committing themselves to Paul’s teachings. The verb phrase “will continue to do” means the Thessalonians had made a future commitment to obey Paul’s teachings. Paul was not suggesting that this church was a perfect church. He was seeking to encourage the church because enough of them were obeying his teaching to make the church a witness to the world. III. A Prayer To The Lord For Guidance, 5. Here Paul is seen offering another benediction for the Thessalonians. The petition in this benediction is for guidance. The word “direct” (kateuthuno) means to guide straight towards something. This was a petition that the Lord would remove all hindrances to love in the church in Thessalonica. This petition carries the idea of God removing all obstacles out of the way like clearing a roadway so that the Thessalonians could love one another. This was a petition for continuing growth in the church. There is no church growth where church members do not love one another. Paul’s prayer was that the Lord would direct these young Christians to reflect the love of God. The benediction Paul prayed was a prayer that in all the Thessalonians said and did it would be a reflection of what God would say and what God would do. Paul was praying that the Thessalonians would love one another with the same love with which God had loved them. Paul was also praying that the Thessalonians would be guided into the kind of steadfastness that was shown by Christ. The word “steadfastness” (hupomone) speaks of endurance and constancy. It has reference to staying with the load. This word speaks of endurance as it relates to things or circumstances. Paul’s prayer was that the Thessalonians would have the kind of spiritual character that would keep them from surrendering to their circumstances or giving in under trial. The grandfather told the girl that there are two kinds of trees in the world, the foolish and the wise. He said that an elm tree holds its branches rigid. As it becomes weighted down, eventually its limbs break. But when an evergreen is loaded, it simply relaxes, lowers its branches, and lets the burden slip away. As a result, it remains unharmed. The grandfather then told his granddaughter to be a pine tree. Christians who give up all their cares to the Lord can face life’s burdens much better than those who try to bear the weight themselves. “Now we command you, brethren, in the name of our Lord Jesus Christ, that you keep away from every brother who leads an unruly life and not according to the tradition which you received from us. For you yourselves know how you ought to follow our example, because we did not act in an undisciplined manner among you,  nor did we eat anyone’s bread without paying for it, but with labor and hardship we kept working night and day so that we would not be a burden to any of you;  not because we do not have the right to this, but in order to offer ourselves as a model for you, so that you would follow our example” (2 Thessalonians 3:6-9, NASB). It does not take long see from this text that Paul was concerned about the company members of the church in Thessalonica kept. Paul was aware of the fact that the wrong company cannot and will not impact people in a positive way. You will notice in this text that Paul was calling upon the Thessalonians to withdraw themselves from people who would hinder their spiritual growth and development. This was a message to the church that they should not put up with just any kind of behavior. These young Christians were being commanded to put what was right above friendship and kinship. Although Paul did not open this letter by referring to himself as an apostle, he assumed that role by issuing commands to this young church in Thessalonica. He wrote to them because of his own authority and the authority of the Lord Jesus Christ. This would suggest that the issue about which Paul was writing was very serious. Paul was deeply concerned because the unity of the church was being threatened. Church members need to know that personal issues produce church issues. So Paul wrote as he did for the sake of the life of the church. Withdrawing From The Unruly, 6. You will notice here in verse six that Paul was commanding the Thessalonians to stay away from every brother who led an unruly life and did not follow the teachings of him and his companions. The word “unruly” (ataktos) comes from the world of the military. It speaks of a soldier who steps out of the ranks. It has reference to anyone or anything out of place. It speaks of idleness or refusing to work. It is deviating from the prescribed order or rule. In Paul’s use of the word “unruly” here in verse six, he was speaking of people in the church who were just goofing off. There were some in the church who spent their time loafing rather than busying themselves for God and the church. It is sad to say but most churches have more loafers than workers. Loafers seriously impact the effectiveness of a church. We need to know that loafers are loafers by choice and not by chance. Despite the fact that there is much work to be done in the church and for the church, loafers choose to remain unemployed where God’s work is concerned. As you continue to read verse six, it appears that there were those in Thessalonica who believed they had a biblical basis for their idleness. This seems to be the reason Paul mentioned the traditions the Thessalonians had received from him and his companions. There were some things Paul and his companions had taught the Thessalonians while he served among them that some of them were not following. There seems to have been some things Paul said in writing that the Thessalonians were now disobeying. These were the people from whom Paul said the church was to keep away. They were to set themselves apart from the unruly. This was a command for the church to exercise discipline. The fact that there were members of the church in Thessalonica who were not following the oral nor the written teachings of Paul meant there was conflict in the church. The word “keep away” (stello) means to abstain from associating with, to avoid, or to withdraw oneself. You will notice that Paul called the persons from whom the Thessalonians should withdraw themselves brother. The word “brother” (adelphos) speaks of people who are of the same womb. So here Paul was speaking of the members of the church in Thessalonica. There were some spiritual family members from whom the church should withdraw. There were some in the church who were saved but were out of ranks with the rest of the soldiers in the army of the Lord in Thessalonica. This is a picture of the fact that not all Christians can be nurturing in their relationship with other Christians. The are some Christians who will not follow the teachings of their God-given leader. These persons are not to be dealt with as enemies but as brothers. Despite the fact that they are brothers, the church needs to withdraw. The unity of the church is more important than an individual’s relationship with it. Knowing The Right Person To Follow, 7a. Paul and his companions gave the Thessalonians an example worthy of following. This was a good reason for them to follow his teaching. Paul and his companions practiced what they preached and they preached what they practiced. In the word “know” (eido), Paul was saying the Thessalonians had an understanding of how they should follow him and his companions. In the word “ought” (dei), Paul was speaking of what the Thessalonians should do. He was talking about what was necessary. The fact that the verb ought is in the present tense means the Thessalonians needed to continue feeling it a necessity to follow the example of Paul and his companions. The word “follow” (mimeomai) produced our English word mimic. This word carries the idea of imitating or following as an example. It suggests using someone as a model. This was a message to the Thessalonians to not turn to false teachers and their teachings. They should follow what Paul and his companions said and did. These young Christians were commanded to mimic the behavior of Paul and his companions. Since the verb “follow” is in the present tense, this meant the Thessalonians were being commanded to make it a habit of mimicking Paul and his companions. III. Sacrificing For The Sake Of Others, 7b-9. Paul called attention to the fact that he and his companions had not walked in an undisciplined manner while they were in Thessalonica. The word “undisciplined manner” (atakteo) means to be out of order, out of ranks, or neglecting duties. Paul was speaking of the faithfulness and dependability of him and his companions. So Paul was commanding the Thessalonians to have the same kind of faithfulness and dependability they saw in him and his companions. Because of the relationship Paul and his companions had with the church in Thessalonica, they had the right to expect these young Christians in Thessalonica to provide them with financial support. However, Paul and his companions did not exercise that right. Paul refused to claim his rights as an apostle. He and his companions chose to support themselves by working at tent making night and day. He laid aside his rights for the sake of the church. No one could rightly accuse Paul and his companions of eating bread for which they did not pay. Paul and his companions labored with much hardship to keep from being a burden to anyone in the church. The word “labor” (kopos) speaks of work that reduces strength. This word implies pain and weariness. The word “hardship” (mochthos) speaks of work that is afflicting and wearisome. It is more strenuous than what is seen in the word labor Paul used here in verse eight. Paul in his companions went the extra mile for the sake of the church. Paul went through much for the sake of the Thessalonians to keep from being a burden to the congregation. The word “burden” (epibareo) means to be chargeable to or to overcharge. He did not want this young church to become stressed in their efforts to financially support him and his companions. This was the purpose of Paul working at tent making night and day. It needs to be said at this point that the way Paul operated is not to be used by a church as an excuse to not support the pastor. Paul chose this method of dealing with the Thessalonians because of their youthfulness as Christians. He also dealt with the Corinthians in the same way because of their spiritual immaturity. While Paul was in Thessalonica, the Philippians sent gifts to him on more than one occasion. Paul said in his thank you note to them, “For even in Thessalonica you sent a gift more than once for my needs” (Philippians 4:16, NASB). Jesus said Paul and his companions had a right to be supported by the church. Jesus said the laborer is worthy of support (Matthew 10:10; Luke 10:7). When Jesus sent his disciples out, he expected the ones who benefitted from their ministry to provide for their needs. Paul said to the Galatians, “The one who is taught the word is to share all good things with the one who teaches him” (Galatians 6:6, NASB). When Christians are taught, they have an obligation to bless their teacher. Paul said to young Timothy, the pastor of the church in Ephesus, “The elders who rule well are to be considered worthy of double honor, especially those who work hard at preaching and teaching. For the Scripture says, “You shall not muzzle the ox while he is threshing,” and “The laborer is worthy of his wages” (1 Timothy 5:17-18, NASB). As we consider how Paul operated in Thessalonica, we know he was not using the standard operational procedure. He used this method to strengthen young Christians and also to silence his accusers. He sacrificed for the sake of others. Because of his efforts to move some of the Thessalonians out of idleness, Paul worked at tent making night and day. He did this to be an example to young Christians. He did not want those who were idle to use him as an excuse to be idle. This is a picture of the fact that people often misjudge the work of the pastor. Paul was commanding the Thessalonians to follow him and his companions as they followed the Lord Jesus Christ. We have to know that we never go wrong when following Jesus. The closer we follow Jesus the more like him we become. People will recognize us for whom we are everywhere we go when we follow Jesus. The story is told that there was once a man sitting in a restaurant eating when a group of workmen came in to eat. The man noticed that the workmen brought in a strange smell with them. When the workmen left, the man asked the owner of the restaurant who the men were. The owner replied that the men worked at the perfume factory nearby and they carried the odor of the perfume with them everywhere they went. When we place our faith in Jesus as Savior, he comes to live within us. Then he works to transform us. He works to replace our selfishness with Christlikeness. As we grow in grace and in the knowledge of God, our thoughts, words, and works become more and more like his. There was once a preacher who gave an illustration of this from nature. He told of two little saplings that grew up side by side. Because of the wind blowing, they crossed each other. Soon they became wounded by friction. The sap began to mingle until one calm day they became attached. Then the stronger began to absorb the weaker. It became larger and larger, while the other withered and declined until it finally dropped away and disappeared. Now there are two trunks at the bottom and only one farther up. Death has taken away the one and life has triumphed in the other. Since we have died to sin and now live the new life in Christ, we can now be like Jesus. “For even when we were with you, we used to give you this order: if anyone is not willing to work, then he is not to eat, either. For we hear that some among you are leading an undisciplined life, doing no work at all, but acting like busybodies. Now such persons we command and exhort in the Lord Jesus Christ to work in quiet fashion and eat their own bread” (2 Thessalonians 3:10-12, NASB). Work has been a part of God’s plan for humanity since he made Adam and Eve. It was the job of Adam and Eve to take care of the garden of Eden. This means that God gave them a job. If Adam and Eve were to eat, they would have to till the ground of the garden of Eden to grow food. This means that working and eating go together. People who will not work are people who should not eat. This may sound like a heartless principle, but it is a principle that was put in place in the beginning. Adam and Eve would get their food from the ground they worked. Their failure to work would impact their food supply. From the very day Adam sinned the first time, humanity has consistently gone against God’s will, even in the area of working and providing the necessities of life. The unemployment rate is not as high as it is because there are no jobs. A part of the problem is that many people will not take the jobs that are available. Many people are choosing to exercise alternatives to working. Some of the alternatives are legal and some are illegal. As far as the teachings of the Bible are concerned, working for a living is a biblical principle. However, it is a biblical principle that many people refuse to follow. Working for a living is a matter of spirituality as well as economics. Christians who refuse to work for a living need to re-examine what they call spirituality. Spirituality that does not include working for a living cannot be spirituality. The Thessalonians would bring honor to God by working for a living. God’s primary way of providing for his children is by giving them health and strength to work. When he needs to, God will use miracles to provide for his children. The biblical principle of working for a living was not followed by many of the people in the church at Thessalonica. At least in the area of the message concerning the return of Christ, Paul had been very persuasive in his preaching. He was so persuasive that some of the Thessalonians had quit their jobs and were awaiting the return of Christ. There were some in Thessalonica who were so certain that Christ could return at any time that they did not see a need for going to work. You will notice in verses ten and eleven, Paul was speaking to the church concerning those who were unwilling to work. In verse twelve he was speaking to those who were unwilling to work. You will notice in verse ten that there was a command given to the church. The command was given because of the lifestyle of some of the members of the church. In verse twelve, Paul gave a command and an exhortation to those who were unwilling to work. Here Paul is seen calling the Thessalonians to repentance. Repentance involves conviction, contrition, and conversion. These young Christians needed to be convicted of their sin of unwillingness to work. They needed to feel genuine for their unwillingness to work. They also needed to make some changes in their life. A Need To Follow Instructions, 10. Paul wrote as he did here in verse ten because some of the Thessalonians refused to follow his instructions. A vital part of Paul’s teaching while in Thessalonica surrounded the social life of the Thessalonians. When I use the term social life I do not have reference to their recreation. I speak of their life together in the community. This life together in the community included each family providing for their household. There were some in Thessalonica who would not work to provide for their own families. While Paul was in Thessalonica he constantly taught them concerning the need to work. He not only taught them, he gave them orders, and in verses seven through nine, he gave them an example to follow. The word “order” (paraggello) here in verse ten means to give instruction, to pass on an announcement, to charge, or to command. It suggests summoning or bidding. The tense of this verb (imperfect) speaks of a continual or repeated action. Paul did not tell the Thessalonians they needed to work just one time. He kept on telling them that anyone who is unwilling to work is not to eat. This was important for both the social life and the spiritual life of the Thessalonians. Despite how many times Paul told the Thessalonians they needed to work, and despite how he showed them through his own life that they needed to work, there were those who would not follow his instructions. They would not follow his instructions while he was there with them nor did they follow his instructions through the letters he wrote. Listen to what Paul said in his first letter to these young Christians in Thessalonica. Paul said, “…make it your ambition to lead a quiet life and attend to your own business and work with your hands, just as we commanded you,  so that you will behave properly toward outsiders and not be in any need” (1 Thessalonians 4:11-12, NASB). This was a word of instruction to the Thessalonians that would prevent them from having to constantly ask for help from the church. Paul was not speaking about those who could not work. He was speaking about those who would not work. This is seen in the words “is not willing to work.” The word “is not willing” (thelo) speaks of a person not being determined, not choosing, not preferring, or not wishing. So Paul was saying concerning those who made up their minds not to work, that the church should make up her mind not to support them. The church does not owe people anything who refuse to work. Paul further said in his first letter to the Thessalonians, “We urge you, brethren, admonish the unruly, encourage the fainthearted, help the weak, be patient with everyone” (1 Thessalonians 5:14, NASB). The unruly were those who refused to work. Paul told the church to advise them. This meant he was telling the church to tell those who would not work to get out and get a job. Despite the good example of Paul and his companions, there were still those in Thessalonica who would not follow their instructions nor their example. Those who would not work could not plead ignorance as the reason. They had heard it from Paul and his companions with their ears and they had seen it in the example set by Paul and his companions with their eyes. So Paul made a strong statement in the close of verse ten when he said that those who would not work are not to eat. Paul was telling the church in the close of verse ten that they should refuse to support those who refused to follow his teachings and example. Paul went so far in his first letter to Timothy to say that Christians who will not provide for their family are worse than unbelievers. Paul wrote, “But if anyone does not provide for his own, and especially for those of his household, he has denied the faith and is worse than an unbeliever” (1 Timothy 5:8, NASB). Disobedience Affecting The Church, 11. Here in verse eleven, Paul was speaking to the church. Paul got the word that there were some in the church at Thessalonica who were leading an undisciplined life. The word “undisciplined” (ataktos) means that they were living in a disorderly manner. They were irregular in their living. They refused to work. The personal problem of some of the members of the church in Thessalonica not working produced church problems. This is a picture of the fact that the church is affected by the personal problems of church members. The members of the church in Thessalonica who would not work had started acting like busybodies. The word “busybodies” (periergazomai) is a word that means to work all around. It means to bustle about. It suggests that a person is occupied everywhere doing everything but doing nothing. It speaks of one who moves about uselessly by spending time on things of little importance. The prefix in the word “busybodies” (peri) is a preposition that implies activity that is outside the realm of constructive or productive labor. Busybodies have two ways they can disrupt the unity of the church. They can disrupt the unity of the church by their passivity or by their activity. First, people who refuse to work disrupt the unity of the church because the church has to use resources to help them that could be used for ministry. This is a picture of how the passivity of members of a church can disrupt the unity of the church. People who are members of a church who refuse to work have no real concern for the ministry of the church. This is why many of them seek to get from the church and do not seek to give for the ministries of the church. Paul was telling the church to not feel a sense of need to feed the bad habits of those who were unwilling to work. Second, busybodies disrupt the unity of the church because they meddle in the business of others. Busybodies spend their time focusing on things that are needless and useless. They spend their time showing interest in the affairs of others. The word “busybodies” has reference to one who meddles in everybody’s business. The word literally means that one has his or her spoon in someone else’s cup. I want you to notice that Paul used a play on words here in verse eleven. He said that there were some who were doing no work at all and were acting like busybodies. The words “doing no work at all” and “busybodies” are of the same origin. Paul was suggesting that those who were doing no work at all were not doing anything productive. They spent their time meddling in the lives of others in the church. They created discord in the church by being a burden on those who did work, and by sticking their noses in other people’s business. Again, the idleness of members of the church in Thessalonica was causing problems with the unity of the church. When church members start meddling in the business of others, a church will have great challenges in her unity. The problem with busybodies is that they meddle and gossip. People who meddle call themselves helping and people who gossip call themselves sharing needed information. This means the unity of the church suffers because of busybodies calling themselves doing what they call good and right. Here in verse twelve, Paul had a word of command and exhortation for those who were unwilling to work. The command and the exhortation were given in the name of the Lord Jesus Christ. You will notice that the command and the exhortation involved both working in a quiet fashion and eating their own bread. The word “command” (paraggello) is the same word as “order” in verse ten. This means that Paul was demanding that the Thessalonians who were unwilling to work would work in a quiet fashion and eat their own bread. The word “exhort” (parakaleo) means to encourage or to urge. This word speaks of a request or encouragement. It is not a demand. The command and request of Paul meant that he was calling for a change in the behavior of some of them in Thessalonica. Those who were unwilling to work should change their behavior. They needed to support themselves by working. The bread they ate should be bread they bought with their own resources. The idea of working in a quiet fashion was an alternative behavior to an undisciplined life and acting like busybodies. The idea behind the word “quiet fashion” (hesuchia) is that of a lack of disturbance. It is living in a quiet manner. It is a settling down in life and not meddling in the business of others. This would be the means by which they would become a blessing to the church by promoting harmony in the church. God set the example for us in working by working six days and resting on the seventh day. God even sent forth his Son into the world to work. Jesus worked in his earthly father’s carpenter’s shop as a child. During his earthly ministry, Jesus said, “We must work the works of Him who sent Me as long as it is day; night is coming when no one can work” (John 9:4, NASB). It was said about Jesus during his earthly ministry, “You know of Jesus of Nazareth, how God anointed Him with the Holy Spirit and with power, and how He went about doing good and healing all who were oppressed by the devil, for God was with Him” (Acts 10:38, NASB). When Jesus was hanging on the cross, he shouted victoriously, “It is finished” (John 19:30). This meant the work Jesus came to do was complete. “But as for you, brethren, do not grow weary of doing good. If anyone does not obey our instruction in this letter, take special note of that person and do not associate with him, so that he will be put to shame. Yet do not regard him as an enemy, but admonish him as a brother” (2 Thessalonians 3:13-15, NASB). Beginning in verse six of this third chapter of Second Thessalonians, Paul showed great concern for the people with whom the church members kept company. Paul understood that people often become a part of their environment. So Paul told the Thessalonians to keep away from every brother who led an unruly life. They were to stay away from every brother who did not follow his teachings and those of his companions (6). Paul encouraged these young Christians in Thessalonica to follow him and his companions. He encouraged them to follow him and his companions because they had sought to give the young Christians in Thessalonica a positive example to follow. Paul and his companions worked at tent making to support themselves and they preached the gospel on Sundays and any other time they could get an audience. Paul and his companions did not work because they did not have the right to be supported by the church. They worked to set an example for some of the Thessalonians to follow in working for a living. There were some in Thessalonica who were unwilling to work and had become busybodies. They had become a burden to the church because the church had to use needed resources for ministry to take care of them. These busybodies had also begun to meddle in the business of others. Paul let the church in Thessalonica know that people who are unwilling to work are not to eat. The church does have an obligation to help the needy. But she does not have an obligation to help the lazy. People who are too lazy to work are not to be carried by the church. Paul both commanded and exhorted the Thessalonians to work in a quiet fashion and to provide for themselves and their families. Here Paul was writing to those Thessalonians who were working and providing for themselves and their families. This is seen in the words, “but as for you.” Those to whom he was speaking in verse thirteen were different from those to whom he was speaking in verse twelve. In verse twelve, Paul was commanding and encouraging those unwilling to work to work in a quiet fashion and buy their own bread to eat. In verse thirteen, he was speaking to those who were working in providing for themselves and their families. He encouraged them to not grow weary in doing good. This was an encouragement for them to not allow those who were unwilling to work to cause them to become discouraged in doing what is right. Just as Paul gave those unwilling work a command to work, he gave those who were working a command to not grow weary. The word “weary” (ekkakeo) speaks of fainting or failing in heart. It has reference to losing courage. Here in this verse it speaks of being slothful in duty. So Paul was commanding members of the church in Thessalonica who were working to keep on working. They needed to keep doing what they were doing. They needed to keep on doing things in accord with the will of God. They needed to keep on doing that which brought honor to God. The idea of weariness did not have reference to the physical. It spoke of emotional weariness. These young Christians who were working should not allow the unwillingness of others to work to cause them to become discouraged. They needed to continue to engage in Christian benevolence. Paul was aware of the fact that there are often people in a congregation who refuse to follow the teachings of their God-given leader. There are some people who are intentionally and willfully disobedient to the person whom God sent to be their spiritual leader. Disobedience is an unwillingness to hear or take heed. It is not being controlled or subject to anyone or anything. Disobedient people operate independent of anyone else or anything else. They are rebellious in spite of what is good and right. Their disobedience comes out of their stubbornness. They have no regard for authority and that is why they reject authority. You will notice that Paul spoke to the church and told the church to take note of those who rejected authority. They were to take note of those who did not follow his teachings. The word “take special note” (semeioo) means to isolate or mark for avoidance. It suggests taking precautions in dealing with people who are disobedient to the teachings of their God-given leader. Paul was pointing out that there were some in the church who needed to be noticed for the purpose of church members not associating with them. There were some church members with whom others should not mix. There were some disobedient church members from whom the church should withdraw fellowship individually and collectively. Both the individuals and groups in the church should avoid those persons who would not follow the teachings of Paul and his companions. The disobedient were to be avoided as a form of discipline. The fact that they were not in fellowship with others in the church would say that they were out of step with them in principles and practices. Those who were out of step with the rest of the church would be put to shame by the church withdrawing from them. Paul was suggesting that isolation from the fellowship would cause the disobedient church member to change his or her behavior. The thing Paul was after was repentance on the part of those who were disobedient. The disobedient were not to be treated as an enemy. They were to be treated as a brother. The word “enemy” (echthros) speaks of an adversary, one in open opposition to another, or an opponent. It speaks of one who is hostile to another. The word “regard” (hegeomai) means to count, to hold or view a person in a particular way. Paul was telling the Thessalonians to not look at the unruly or disobedient church member as an enemy. They were to admonish the disobedient church member as a brother. The word “brother” (adelphos) means to be of the same womb. It speaks of life together based on the same origin. It has reference to members of the same family or tribe. The idea presented here is that of reconciliation. There were some in the church in Thessalonica who had been isolated, and they were now to be reconciled to the body of Christ. The word “admonish” (noutheteo) means to warn or rebuke gently. It has reference to correcting by discipline shown secretly. Although the disobedient person was living outside of God’s will, he was to be loved by the church. Despite the fact that the disobedient did not honor God, the church would honor God by loving them. An important part of unity in a church is not just the absence of conflict. The church is also in need of a spirit of reconciliation. Reconciliation is a costly thing. It cost God his Son and it cost God’s Son his life. “Now may the Lord of peace Himself continually grant you peace in every circumstance. The Lord be with you all! I, Paul, write this greeting with my own hand, and this is a distinguishing mark in every letter; this is the way I write. The grace of our Lord Jesus Christ be with you all” (2 Thessalonians 3:16-18, NASB). In the verses of this text, we are at the close of this second letter written by Paul to the young Christians in Thessalonica. These young Christians faced many challenges. They had to deal with false teaching, persecutions, and afflictions. They also had to deal with members of the church being unwilling to work to support themselves and their families. These were things that could disrupt the unity of the church. The things that confronted these young Christians could not be handled in their own strength. So on several occasions in this brief letter, Paul is seen praying and expressing his wishes for these young Christians. Notice Paul at prayer in chapter one. Paul wrote, “To this end also we pray for you always, that our God will count you worthy of your calling, and fulfill every desire for goodness and the work of faith with power,  so that the name of our Lord Jesus will be glorified in you, and you in Him, according to the grace of our God and the Lord Jesus Christ” (2 Thessalonians 1:11-12, NASB). This prayer consisted of three petitions. The first petition was that the Thessalonians would be counted worthy of salvation (11). The second petition was that they would perform works of faith with power (11b). The third petition was that the name of Jesus would be glorified (12). There is another prayer recorded in chapter two. Paul wrote, “Now may our Lord Jesus Christ Himself and God our Father, who has loved us and given us eternal comfort and good hope by grace,  comfort and strengthen your hearts in every good work and word” (2 Thessalonians 2:16-17, NASB). This prayer of benediction was offered to the Lord Jesus Christ and God the Father. Paul felt confident in praying as he did because of the love of the Lord Jesus Christ and God the Father, and their generosity in giving eternal comfort and good hope by grace. The two petitions in this prayer were that these young Christians would experience comfort and strength in their hearts in every good work and word (17). Early on in chapter three, there is another prayer. Paul wrote in this prayer of benediction, “May the Lord direct your hearts into the love of God and into the steadfastness of Christ” (2 Thessalonians 3:5, NASB). This was a prayer to the Lord for guidance. In this benediction, the desire was that the church would reflect the love of God and that they would be guided into the kind of steadfastness that was shown by Christ. Our text for this message sets before us the fourth time Paul is seen praying or expressing his wishes for the young Christians in Thessalonica. You will notice that this prayer of benediction has in it four things. It is a prayer for peace, for the Lord’s presence, for trust in their God-given leader, and for the presence of the grace of the Lord Jesus Christ. Peace In Every Circumstance, 16a. This verse shows us that peace has its origin in the Lord. It is apparent that Paul used the words “Lord of peace” because he believed in the divinity of Jesus and that Jesus is equal with God. The word “peace” (eirene) implies health and harmony. It speaks of the absence of conflict. But it also has in it the presence of prosperity. It speaks of being set at one again. Peace begins with being set at one with God. It moves from there to being set at one with humanity. Since peace is a part of whom Jesus is, we can experience peace when we experience him. Since peace is a part of the nature of Jesus, we get that nature when Jesus comes to live in us and through us. When Jesus lives in us and through us, he controls us in every circumstance. This means we have peace in every circumstance. The word “circumstance” (tropos) speaks of character, conduct, and conversation. This word speaks of the way something is done. It has reference to the manner of life or way of life. Therefore, Paul was expressing concern for unity in the church at all times. There is no unity where there is no peace. We learn here in verse sixteen that peace is a gift from the Lord. It cannot be bought or negotiated. It is a divine gift. The word “give” (didomi) means to grant or to place something in the possession or control of another. Paul’s prayer was that the Lord, who is peace, would place peace in the posssession or control of the Thessalonians. Since peace is divine in origin, it can only come through the God of peace (Philippians 4:9) and the Lord of peace (2 Thessalonians 3:16). The Holy Spirit also has peace in his nature because peace is one of the fruit of the Spirit (Galatians 5:22). The fact that God the Father, God the Son, and God the Holy Spirit are the source of peace means that peace is available at all times. Peace can survive the tests of life. Paul was aware of the fact that some of the things the Thessalonians were experiencing could disturb their peace. However, he prayed that the Lord would give these young Christians peace in every circumstance. Peace can be restored in any life when the sovereign will of God is trusted and obeyed. Trusting and obeying the sovereign will of God is the means by which we walk in the Spirit. Walking in the Spirit means peace with God and unity in the church. The Lord’s Presence Manifested, 16b. Paul’s wish for the Thessalonians was that they would experience the manifestation of the presence of the Lord among them. It is possible for the Lord to be present and we not know it. It was Paul’s desire that the Thessalonians would see and feel the manifestation of the presence of the Lord. The presence of the Lord would mean the church would experience the power of the Lord. The presence and power of the Lord would mean the Thessalonians would have the strength to stand and withstand in all circumstances. Temptation can only be resisted by the presence and power of the Lord Jesus Chirst. Trials can only be overcome by the presence and power of the Lord Jesus Christ. Threats to the unity of the church can only be mastered by the presence and power of the Lord Jesus Christ. Before Paul ever told the Ephesians to put on the whole armor of God, he first told them to be strong in the Lord and in the strength of his might (Ephesians 6:10). This command was given so that the Ephesians would understand that their power is in Jesus and not themselves. No servant of God can effectively serve God in his or her own strength alone. Paul said to the Corinthians that when he was weak it was then that he was strong (2 Corinthians 12:10). This was so because the power of the Lord is demonstrated more completely in times of human weakness (2 Corinthians 12:9). III. Trusting Your God-given Leader, 17. Before Paul gave the closing petition in this benedictory prayer, he paused to say a word to the Thessalonians concerning the letter they had just read. Paul was assuring his readers that the letter was sent from him. They would know this by paying strict attention to the greeting of the letter. Paul most often dictated his letters to a secretary. However, he closed this letter in his own handwriting so that the readers would know that it was authentic. Paul’s signature validated this letter. It was his distinguishing mark. As you read the second chapter of Second Thessalonians, it appears that the Thessalonians had received a letter that was supposed to have been written by Paul. Paul wrote, “Now we request you, brethren, with regard to the coming of our Lord Jesus Christ and our gathering together to Him,  that you not be quickly shaken from your composure or be disturbed either by a spirit or a message or a letter as if from us, to the effect that the day of the Lord has come” (2 Thessalonians 2:1-2, NASB). There was also a hint of a forged letter in verse fifteen. Paul wrote, “So then, brethren, stand firm and hold to the traditions which you were taught, whether by word of mouth or by letter from us” (2 Thessalonians 2:15, NASB). Despite the fact that the Thessalonians may have received a letter, they needed to be sure they followed what Paul and his companions wrote in their letter. There were some false teachers who were claiming that the day of the Lord had already come. They were spreading this message of error as if it had come from Paul. This is why Paul commanded the Thessalonians to stand firm and hold to the teachings they had received from him and his companions by mouth and by letter. So Paul closed this second letter to the Thessalonians as he did in an effort to move the Thessalonians to trust him as their of God-given leader. The Presence Of Grace With All, 18. Paul closed this letter with a wish for the grace of the Lord Jesus Christ to be with this church. There was no one in the church who did not need grace. Paul’s prayer was that the grace of the Lord Jesus Christ would be with the Thessalonians at all times and in every circumstance. Grace is God’s unmerited favor. It is God’s undeserved superior and unselfish blessings granted to those who in no way deserve it. These young Christians have already received saving grace. Now Paul’s concern was that they would experience God’s sustaining grace. Look at some of the ways grace is needed. God’s grace is needed for endurance. God said to Paul, “My grace is sufficient for you…” (2 Corinthians 12:9, NASB). God’s grace is needed for service. Paul said as he wrote to young Timothy, “I thank Christ Jesus our Lord, who has strengthened me, because He considered me faithful, putting me into service,… I was shown mercy… and the grace of our Lord was more than abundant, with the faith and love which are found in Christ Jesus” (1 Timothy 1:12-14, NASB). God’s grace is needed for generous giving. Paul said to the church at Corinth, “Now, brethren, we wish to make known to you the grace of God which has been given in the churches of Macedonia” (2 Corinthians 8:1, NASB). God’s grace is needed for growth. Paul said to the elders in Ephesus, “And now I commend you to God and to the word of His grace, which is able to build you up and to give you the inheritance among all those who are sanctified” (Acts 20:32, NASB). God’s grace is added to his mercy and is a demonstration of his love. It has been suggested that mercy alone does not show the fullness of the love of God. The fullness of God s love is seen in God’s grace. The Hebrew writer tells us that but both mercy and grace are given in the time of need (Hebrews 4:16). Mercy takes the bitter cup of penalty and pain from the hand of the guilty and empties it. Grace fills it to the brim with blessings. Mercy spares the object; grace claims it for its own. Mercy rescues from peril; grace imparts a new nature and bestows a new standing. Mercy is God’s love devising a way of escape. Grace is the same love devising ways of transforming its object into the divine likeness and enabling it to share the divine blessedness. But grace and mercy came along and rescued me. But grace and mercy watched over me both day and night.